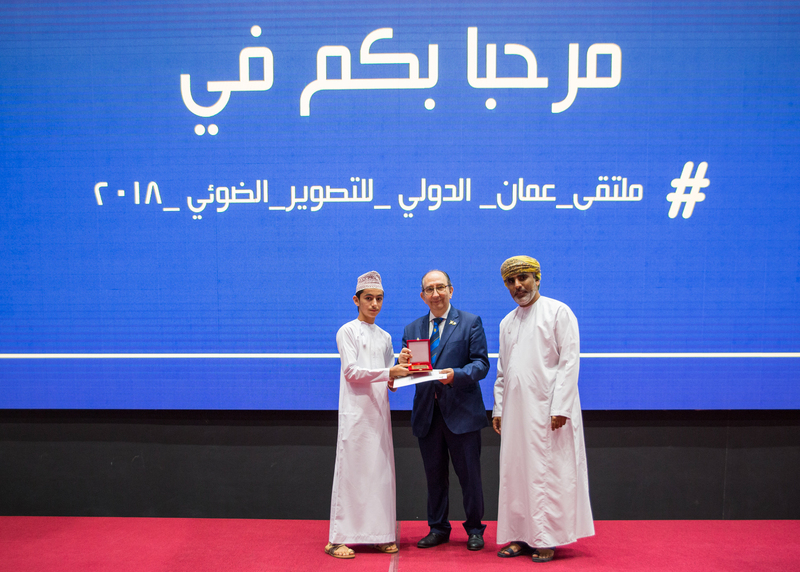 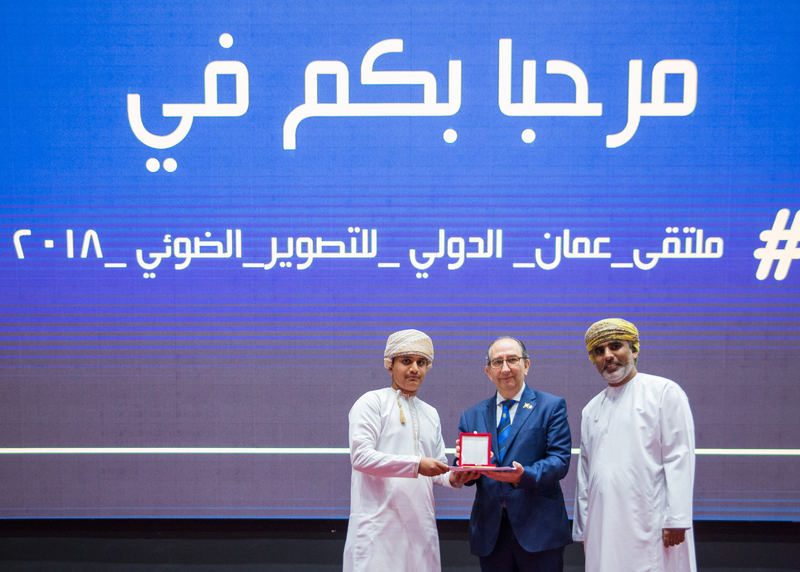 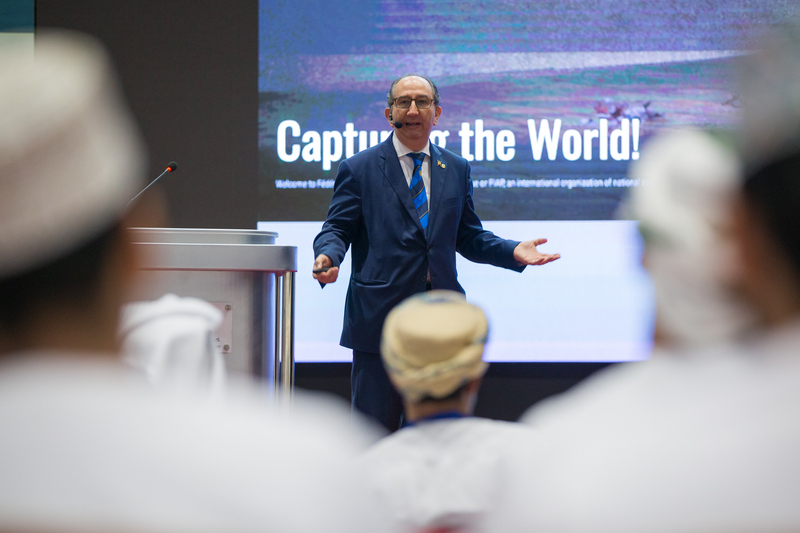 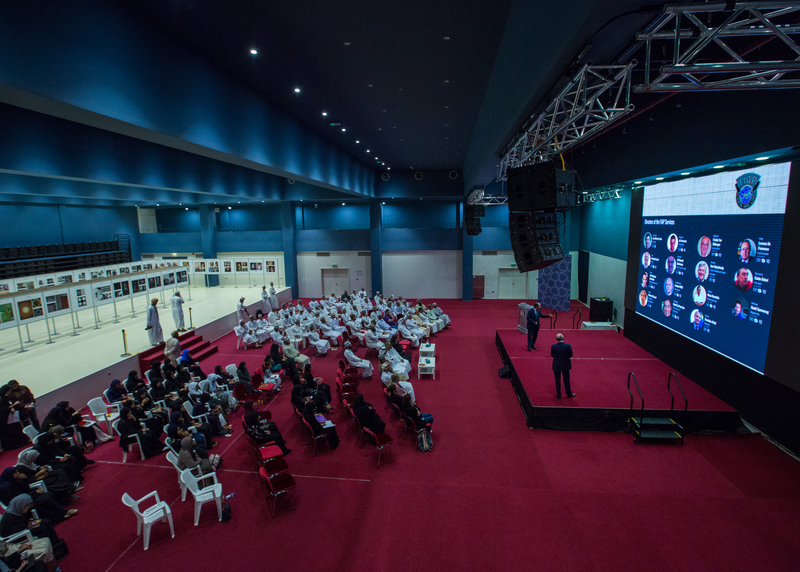 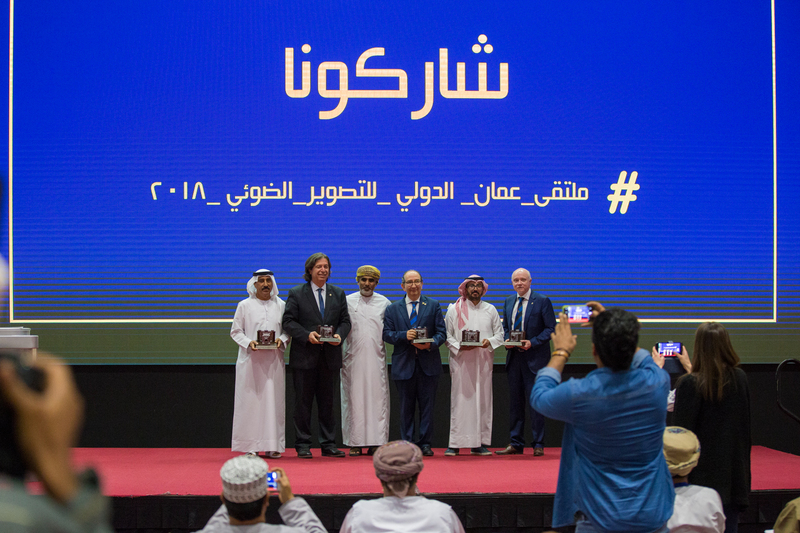 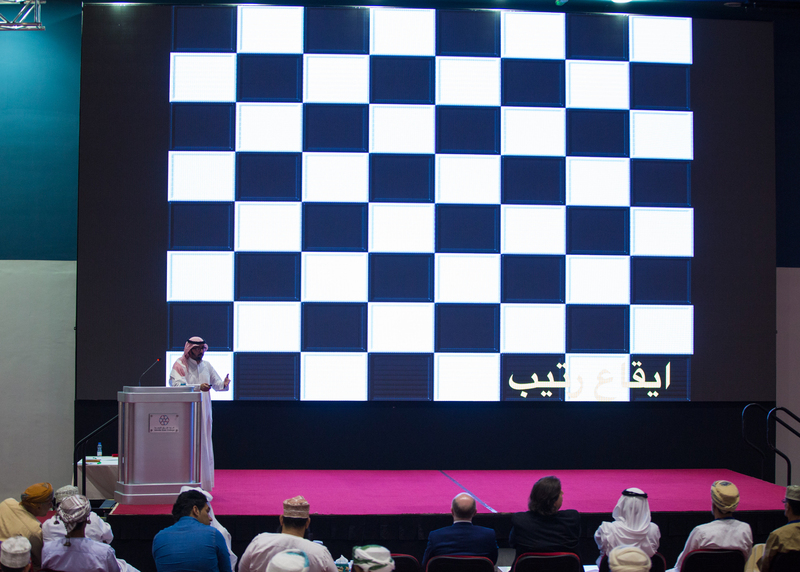 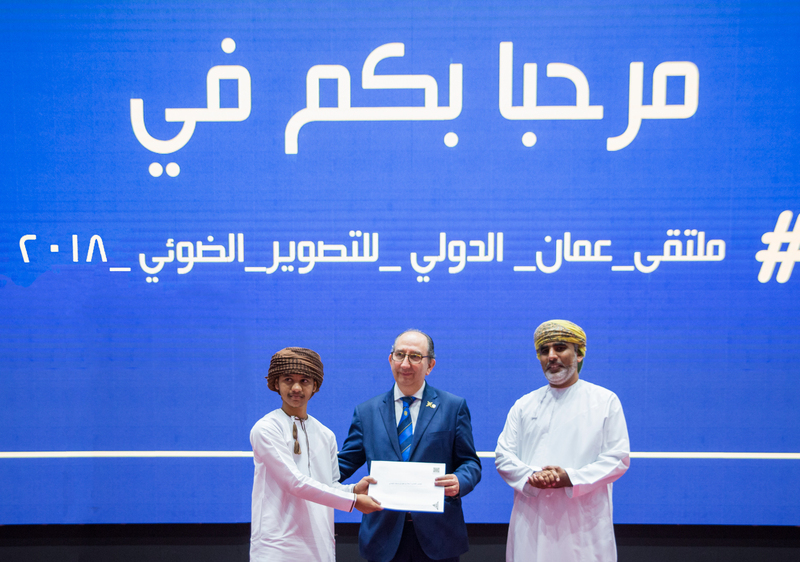 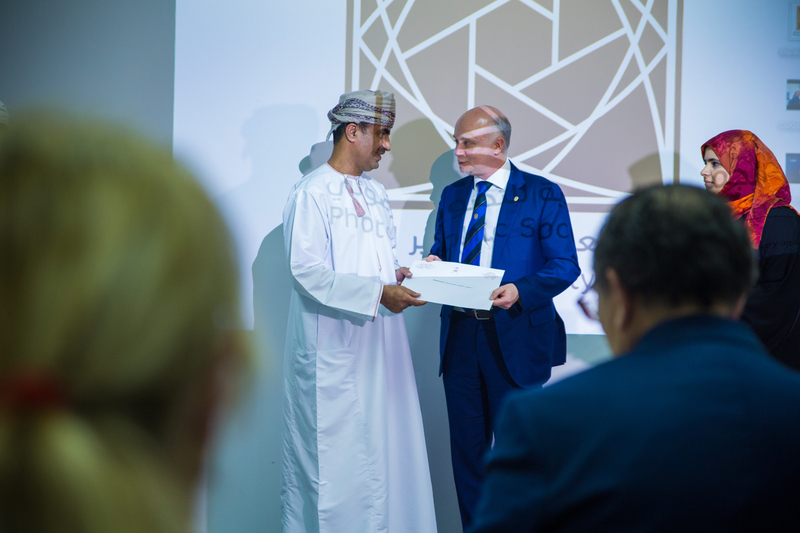 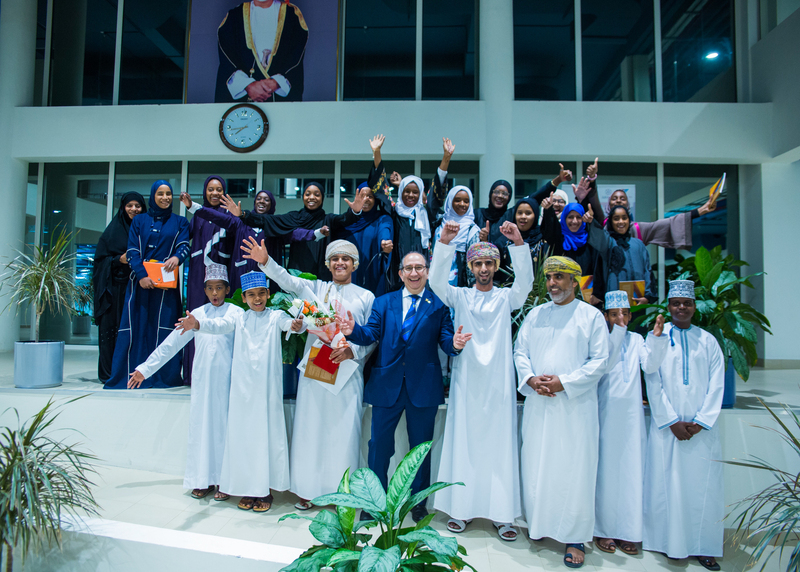 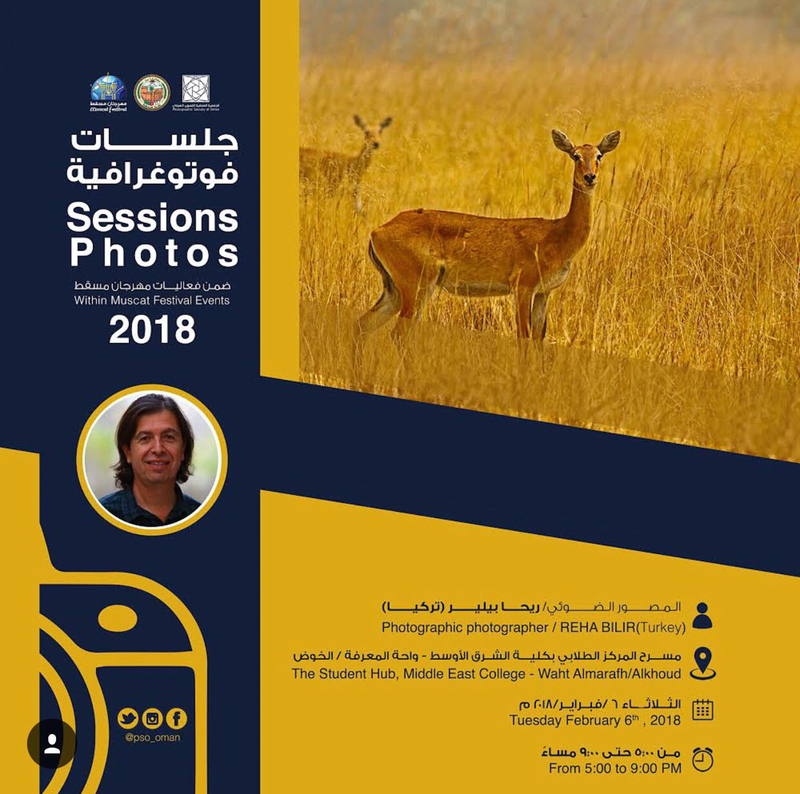 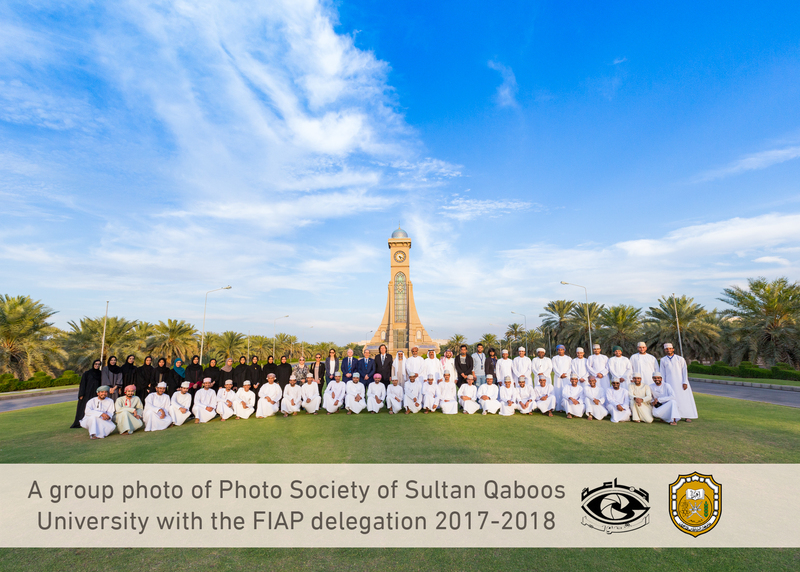 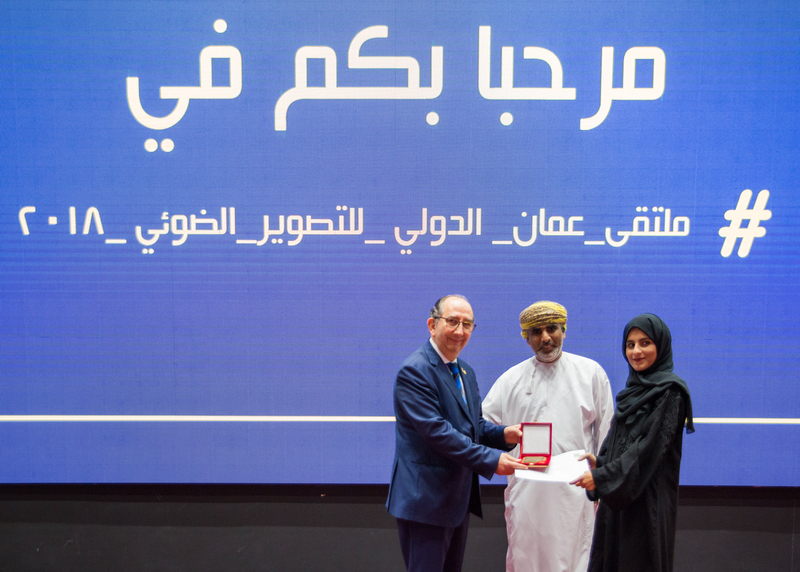 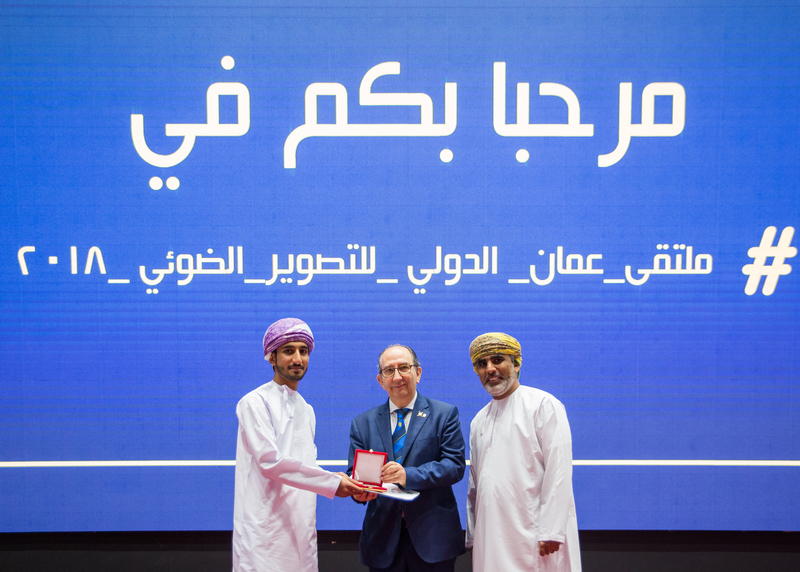 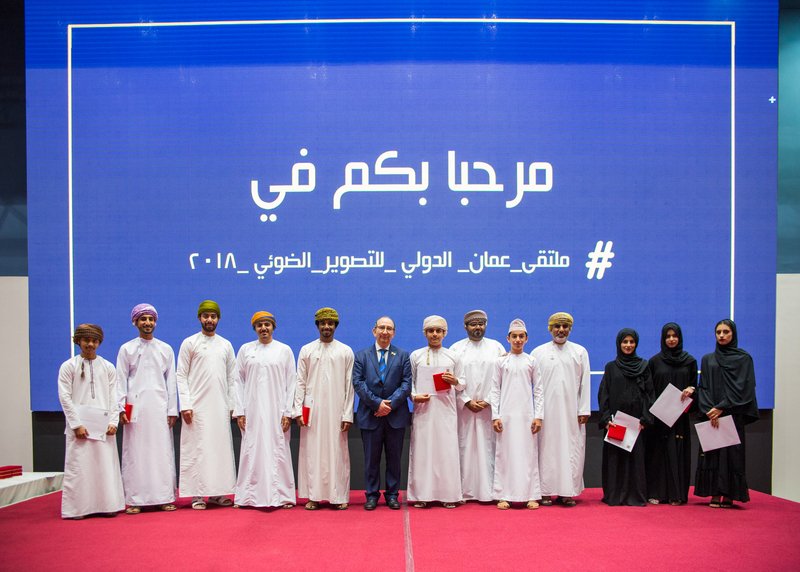 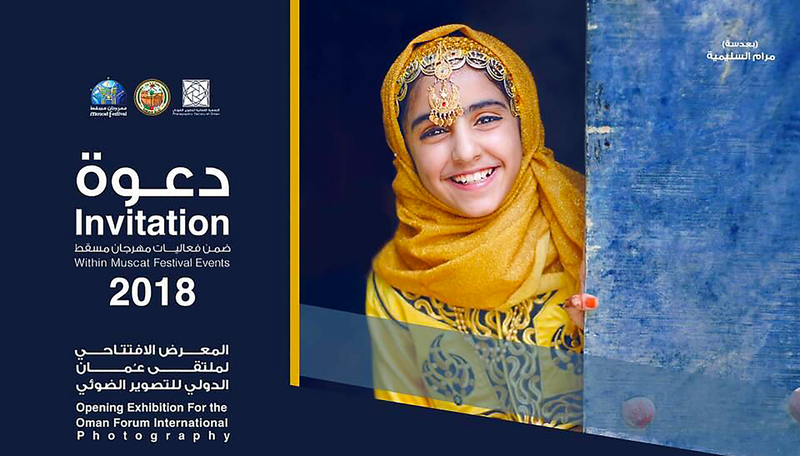 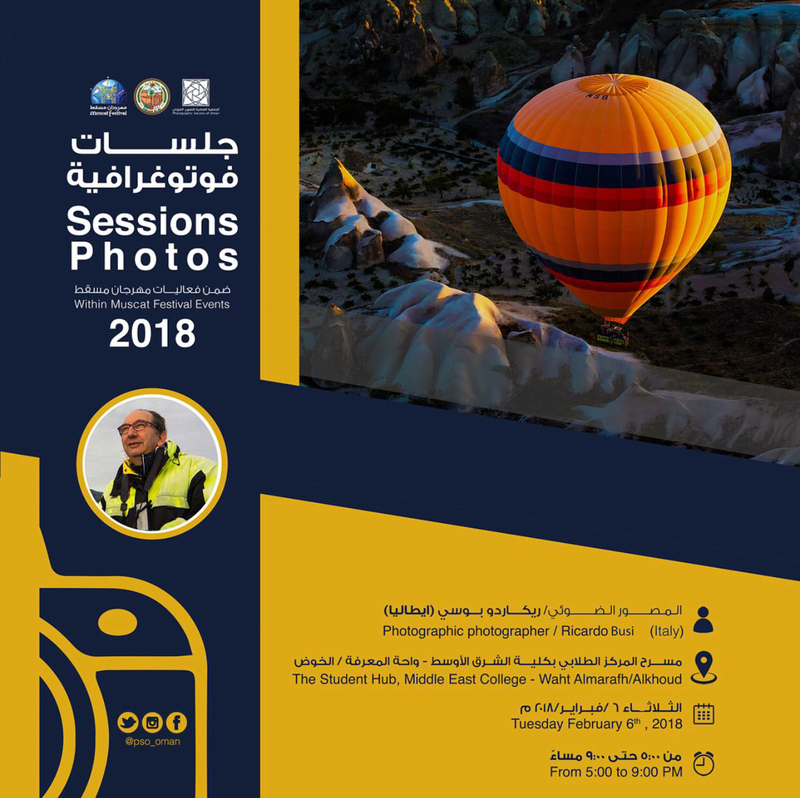 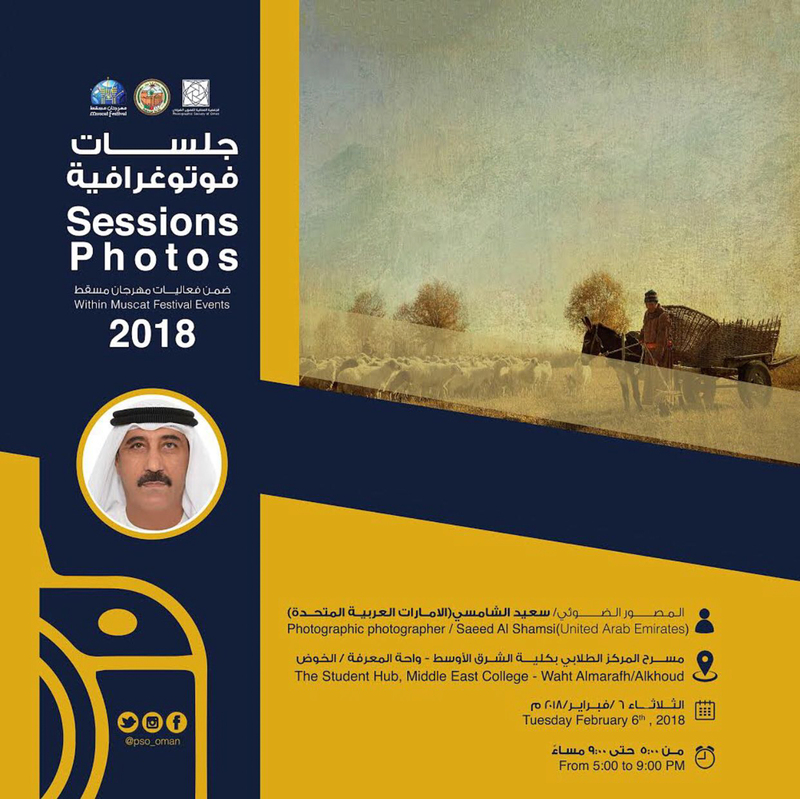 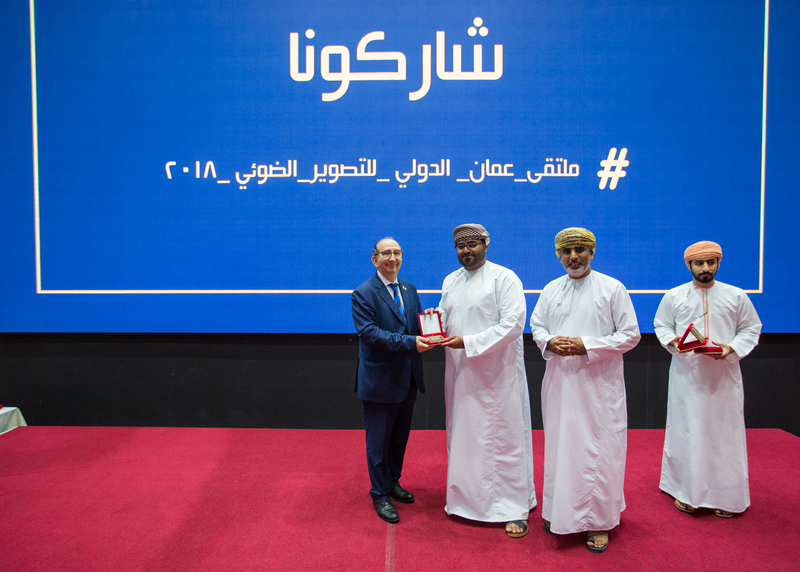 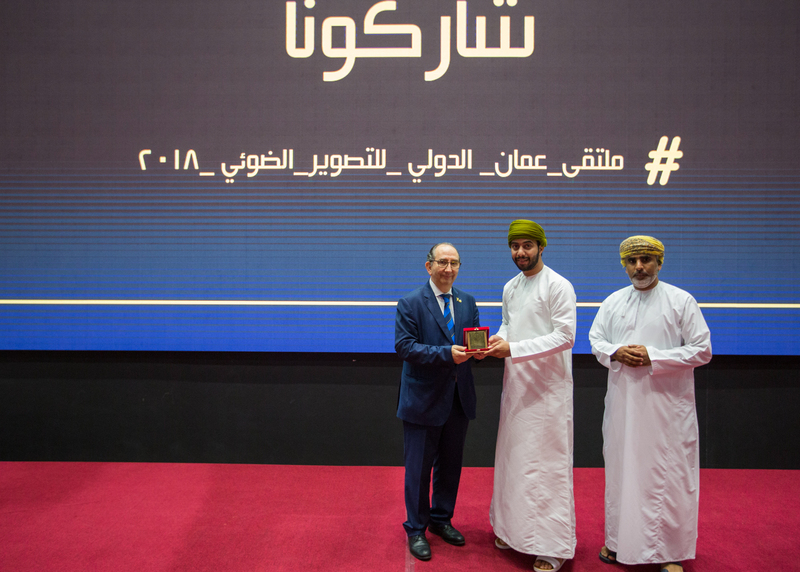 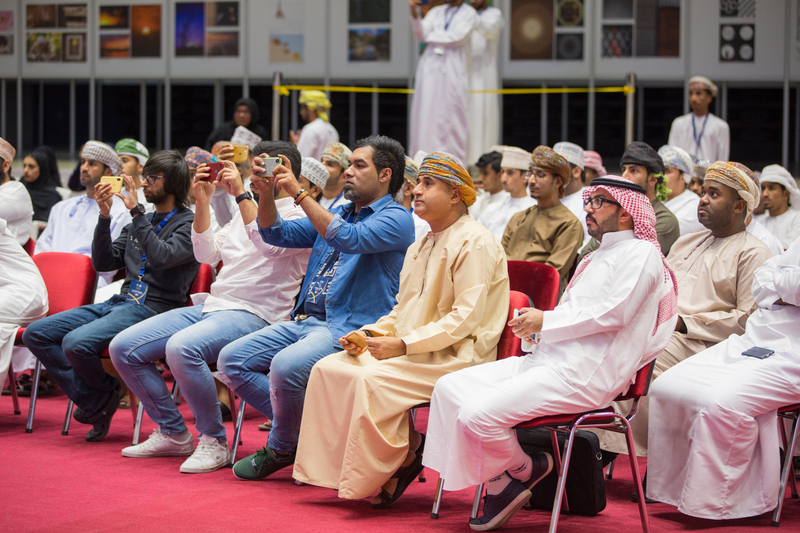 With the atmosphere of joy and celebrations, the Photographic Society of Oman, followed the Sultan Qaboos Higher Center for Culture and Science organized Oman Forum International Photography that held from 3-7 February 2018. 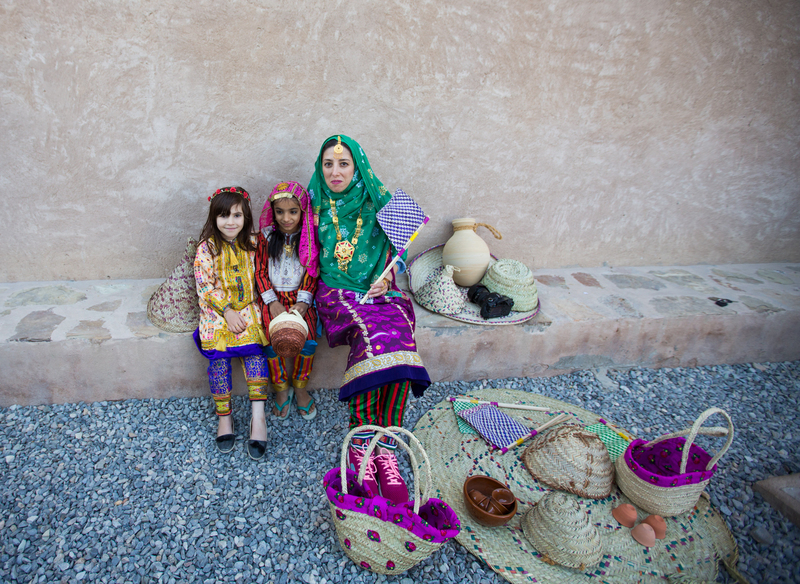 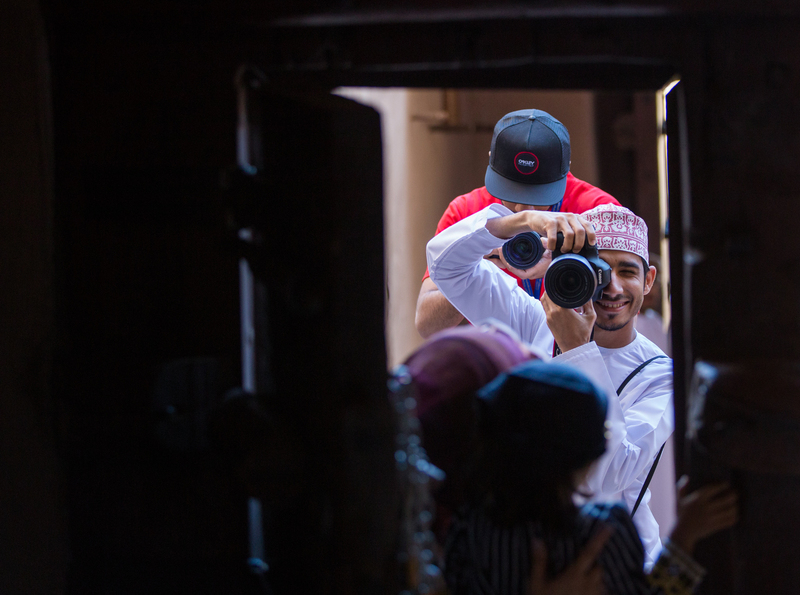 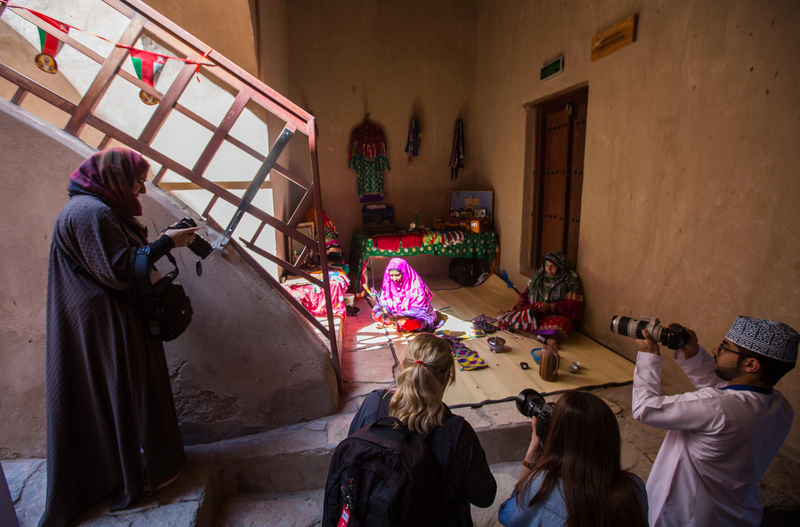 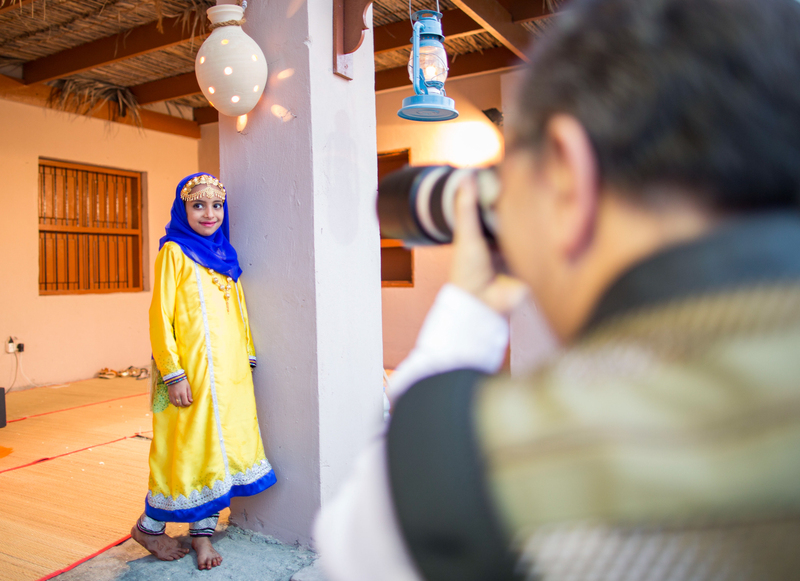 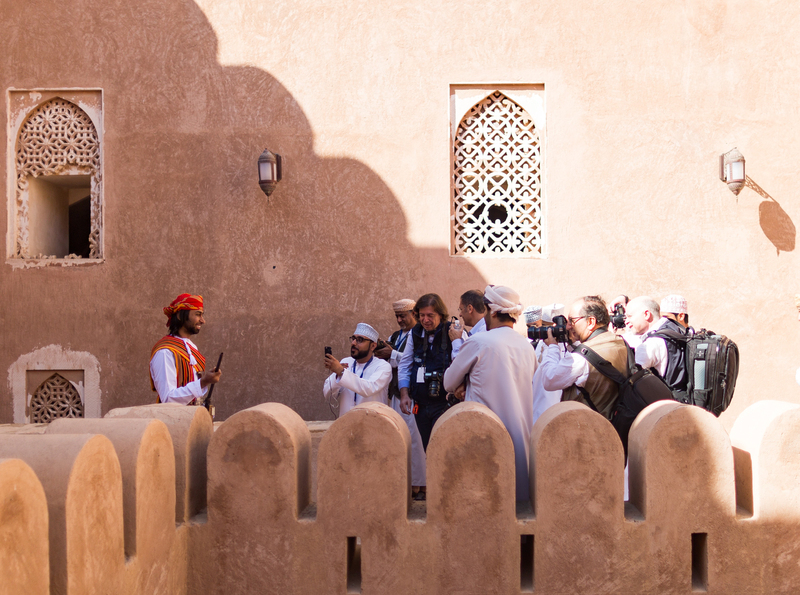 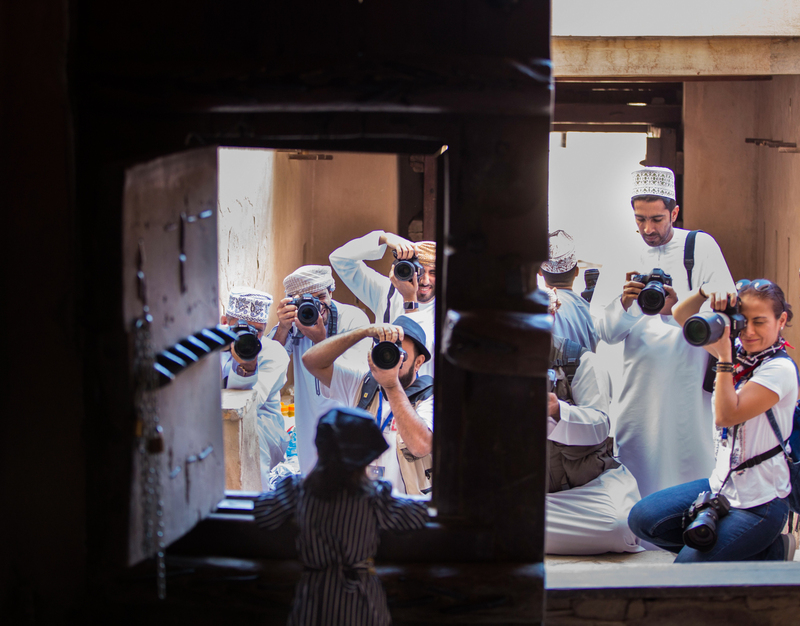 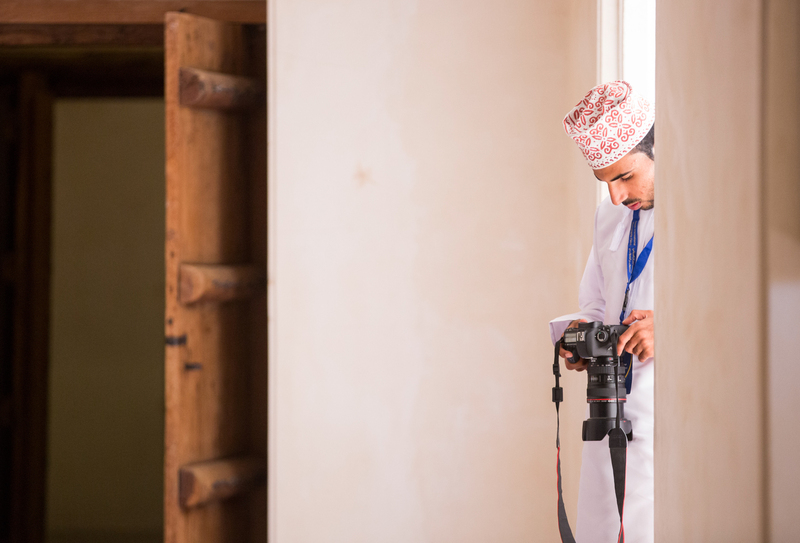 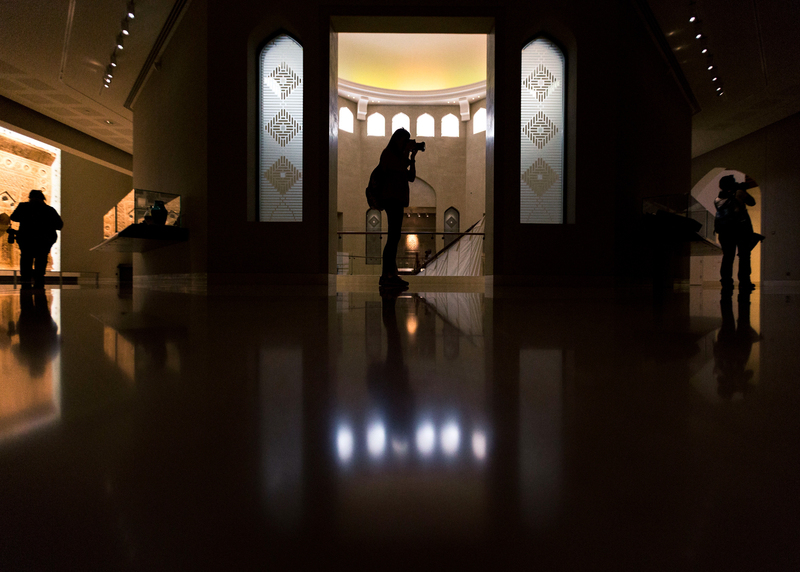 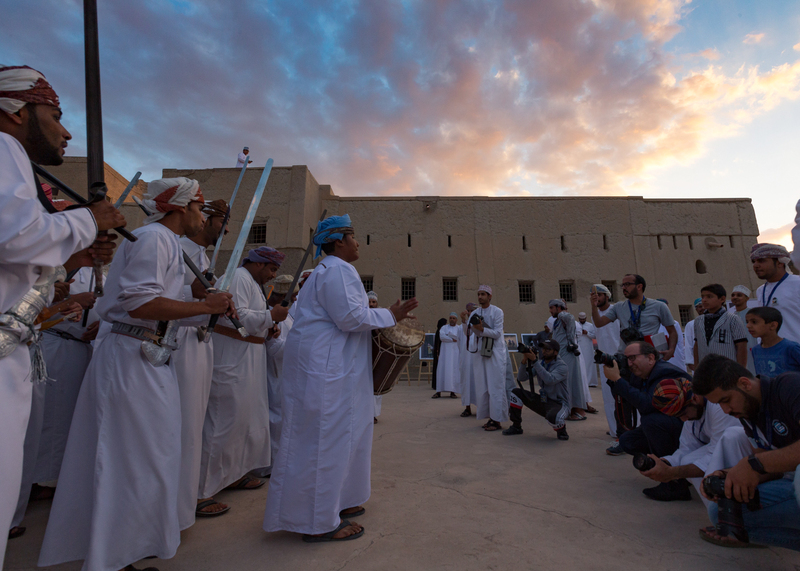 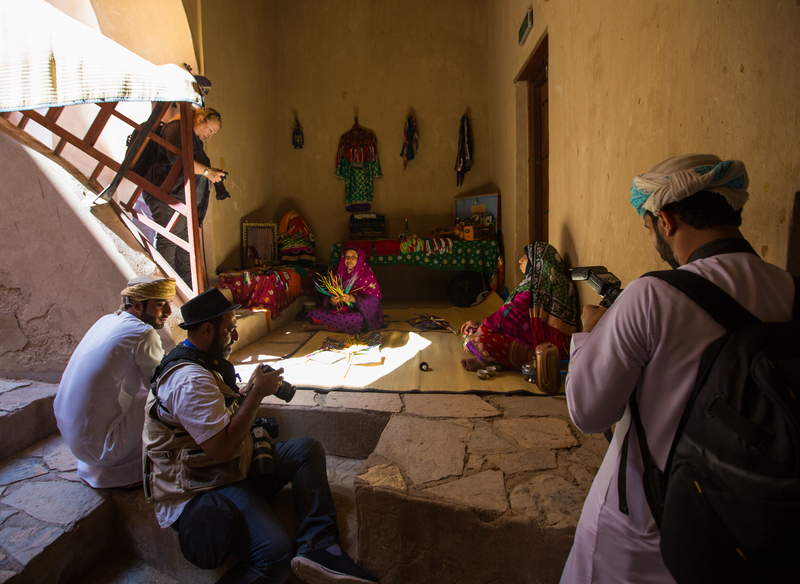 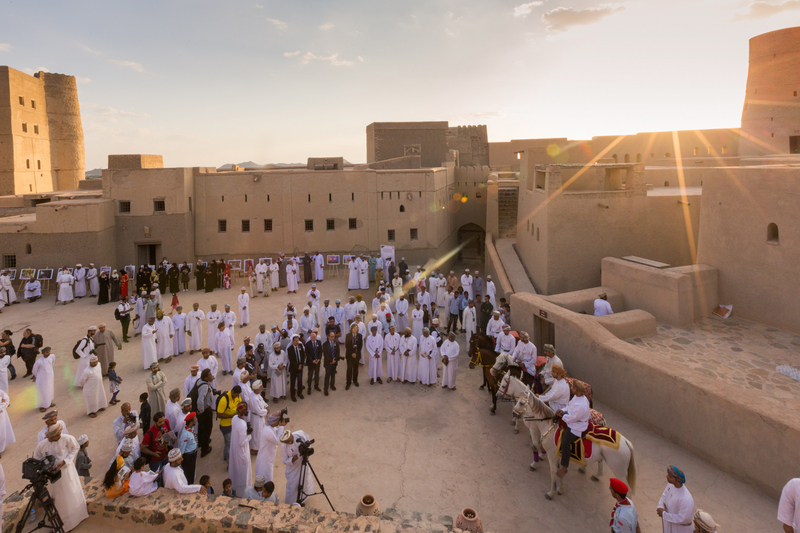 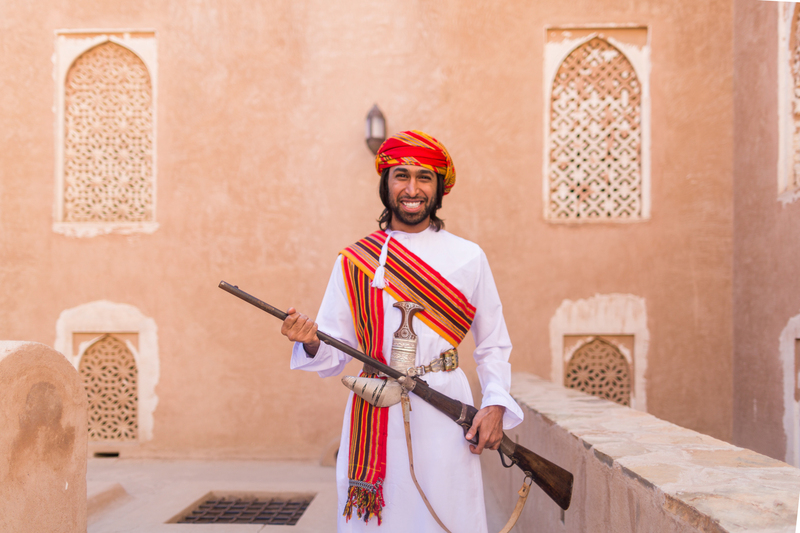 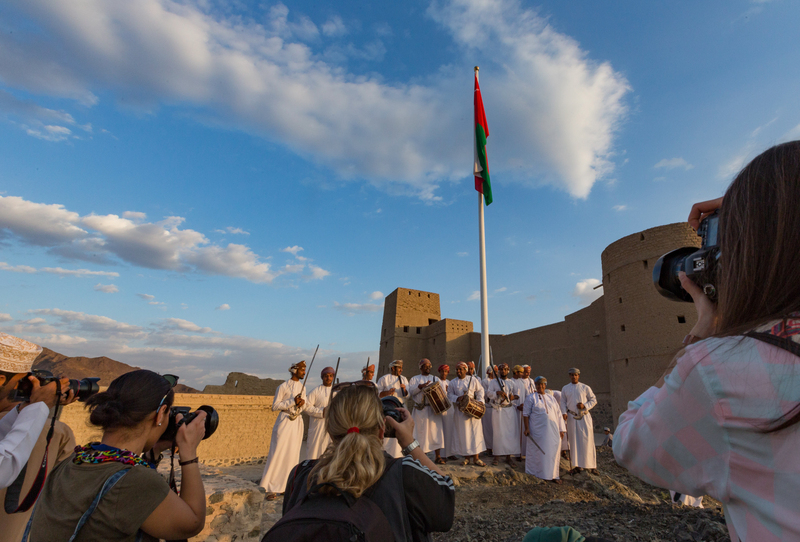 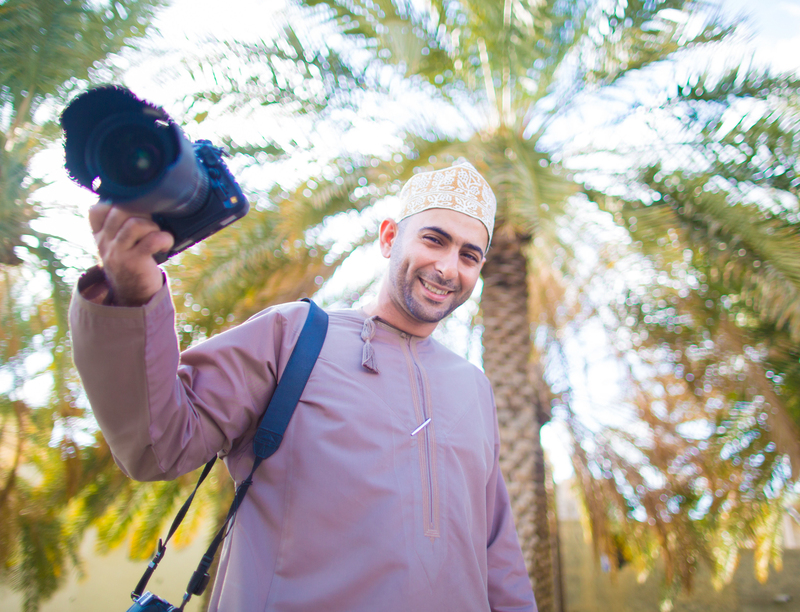 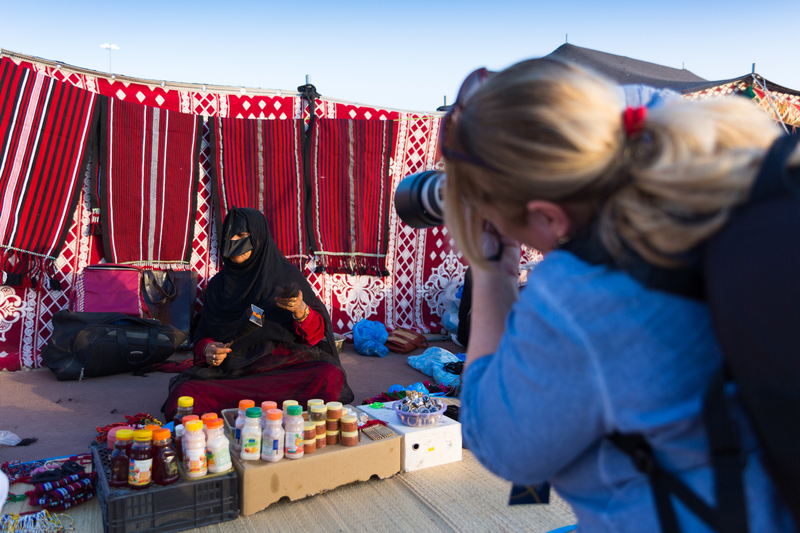 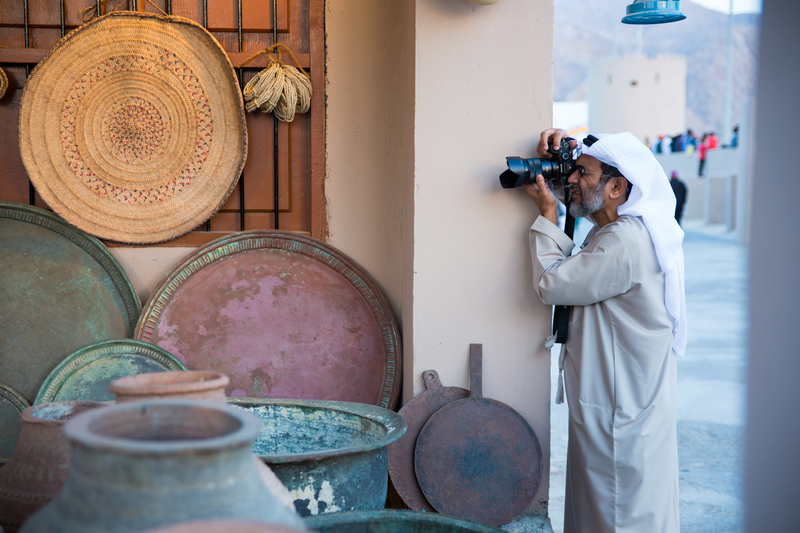 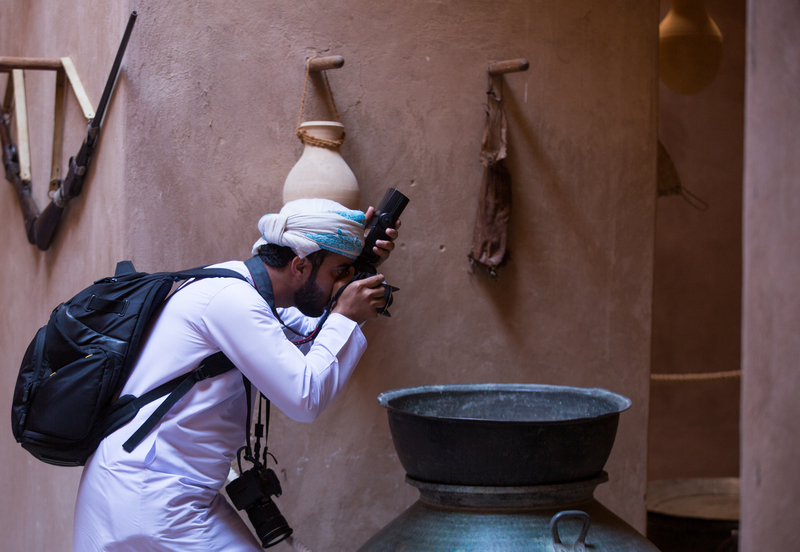 The Forum aims to enhance the artistic aspect and involves Omani photographers with a distinguished group of international photographers to show wonderful Oman in a different and distinct outlook. 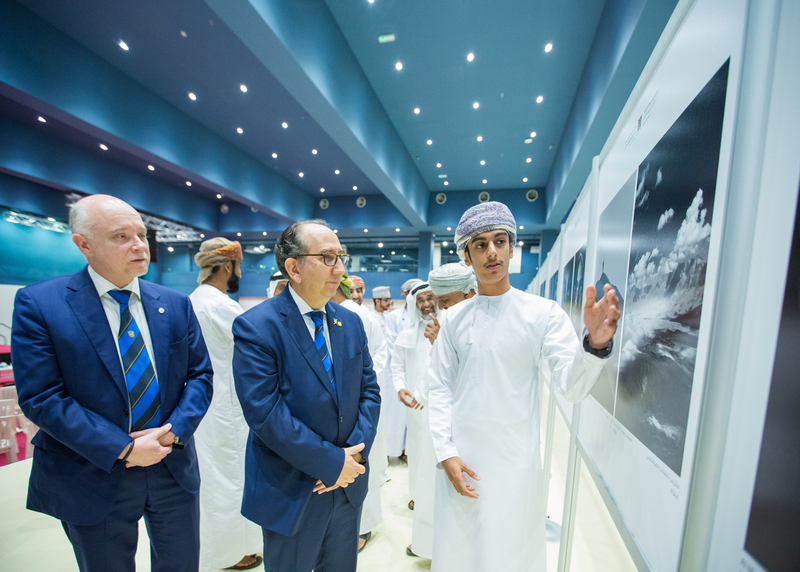 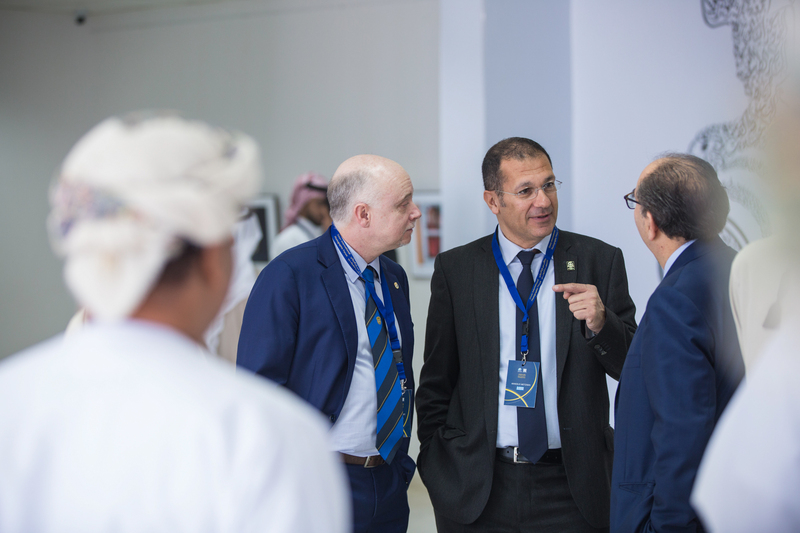 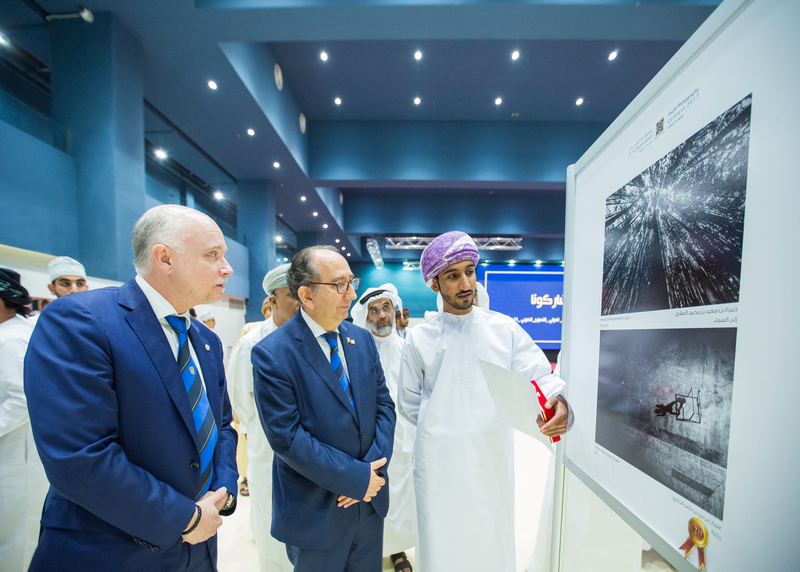 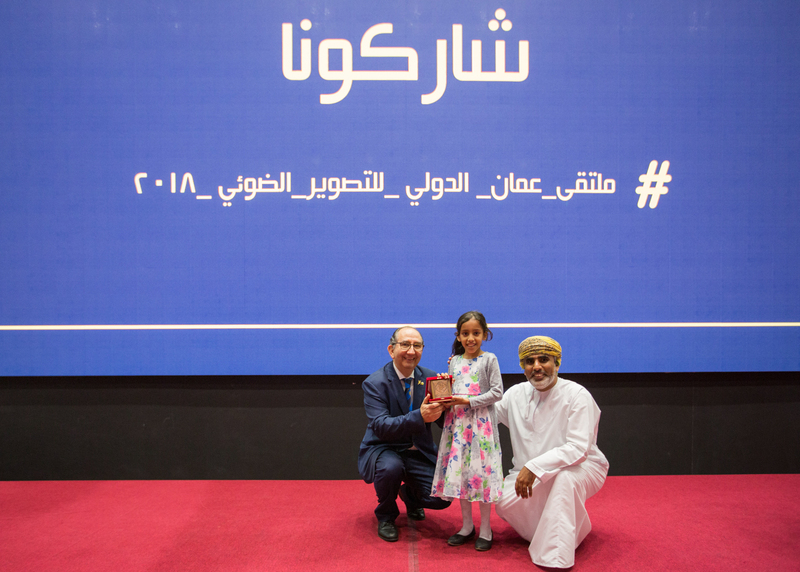 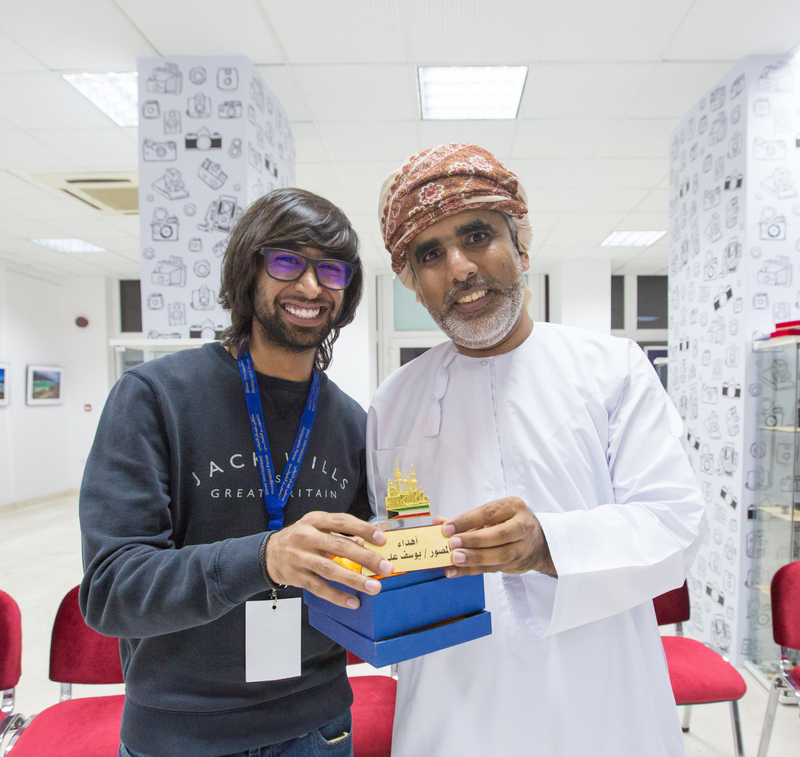 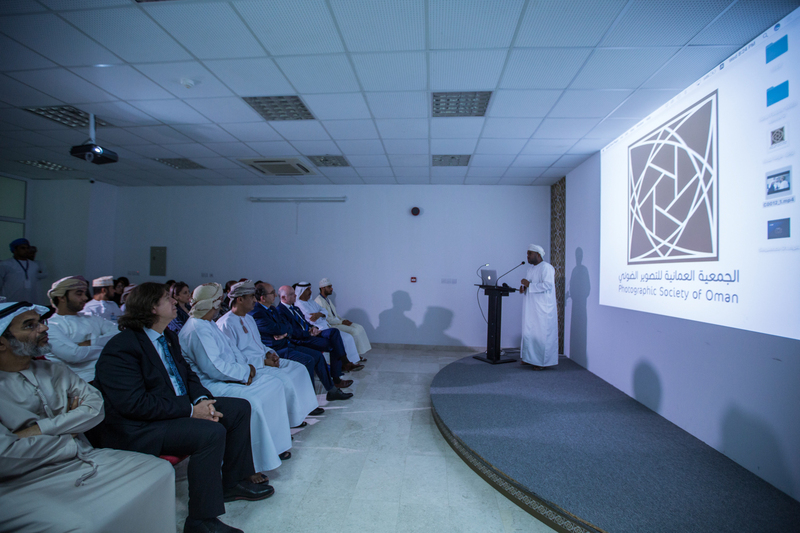 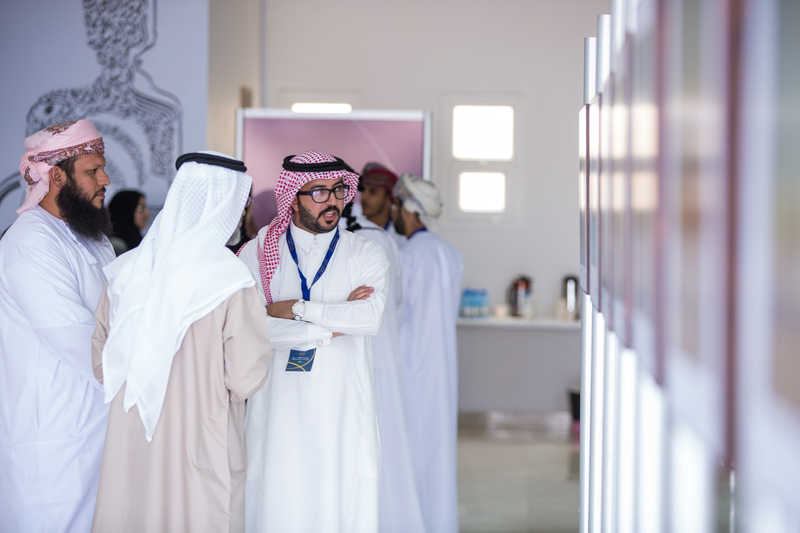 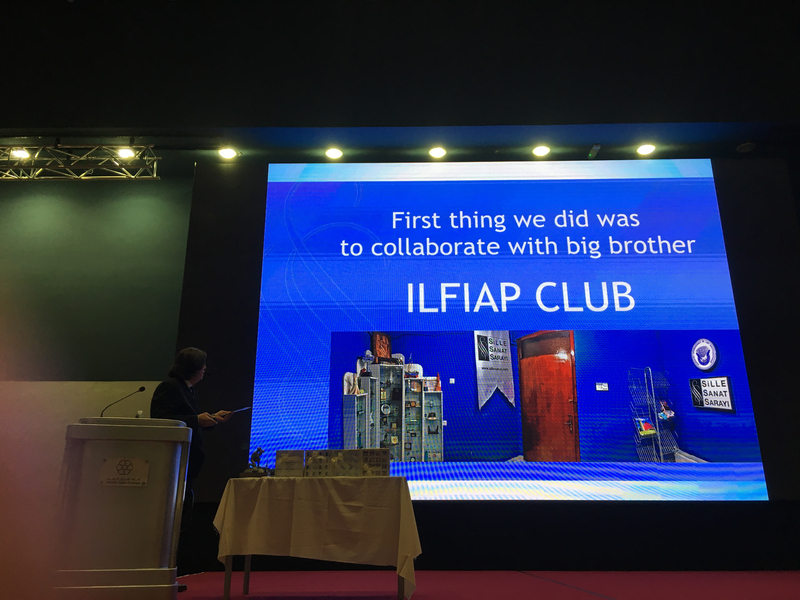 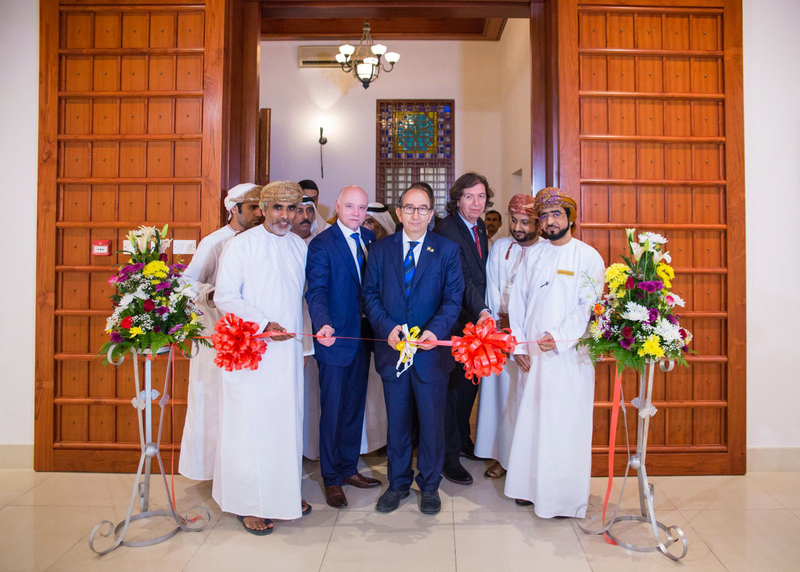 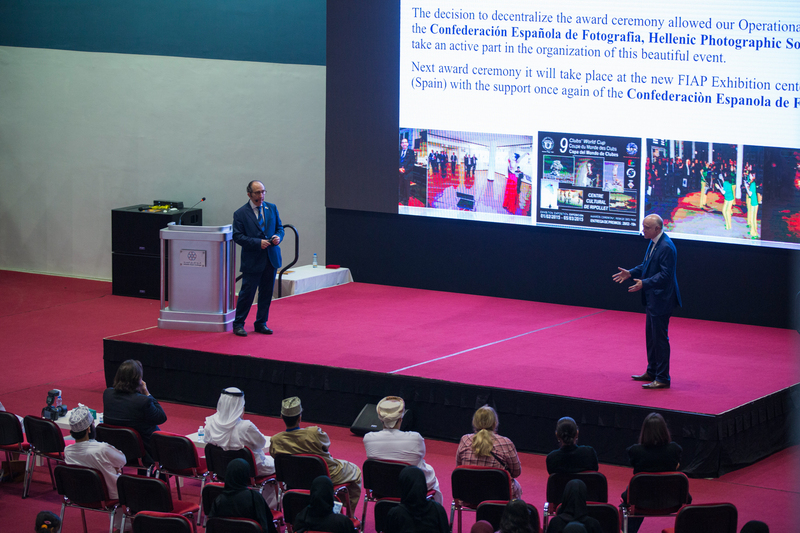 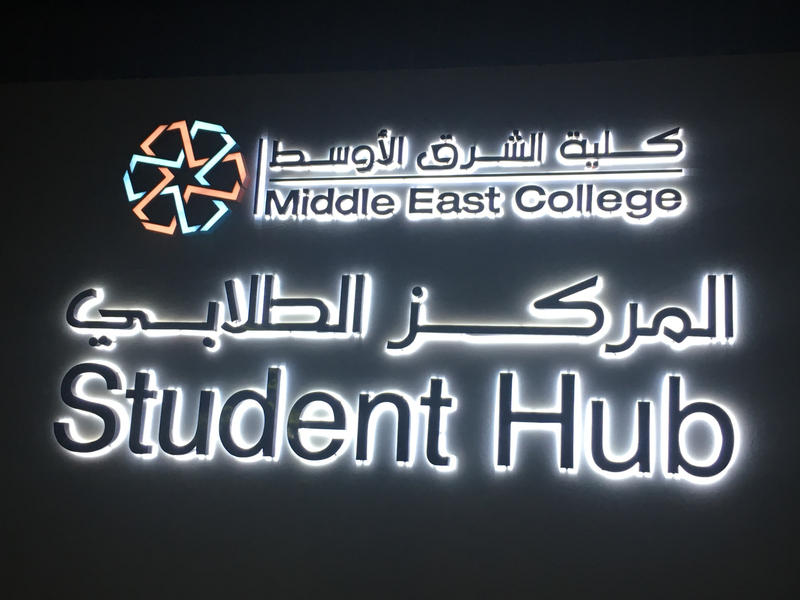 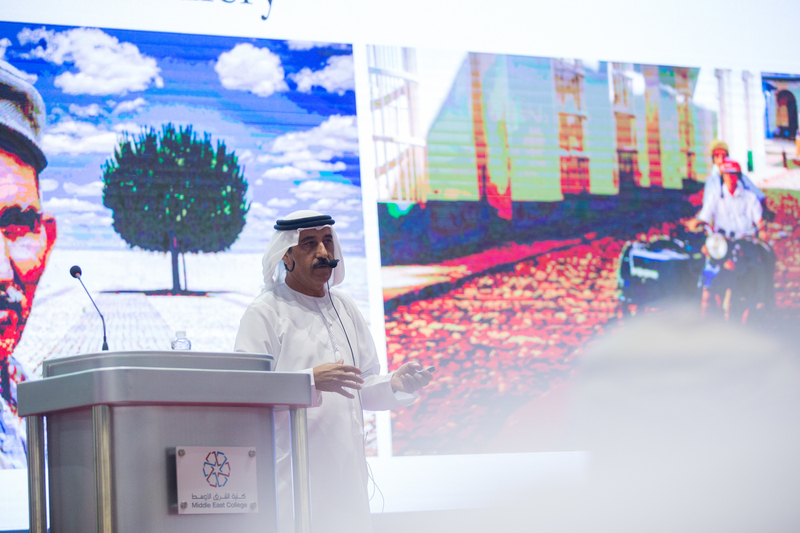 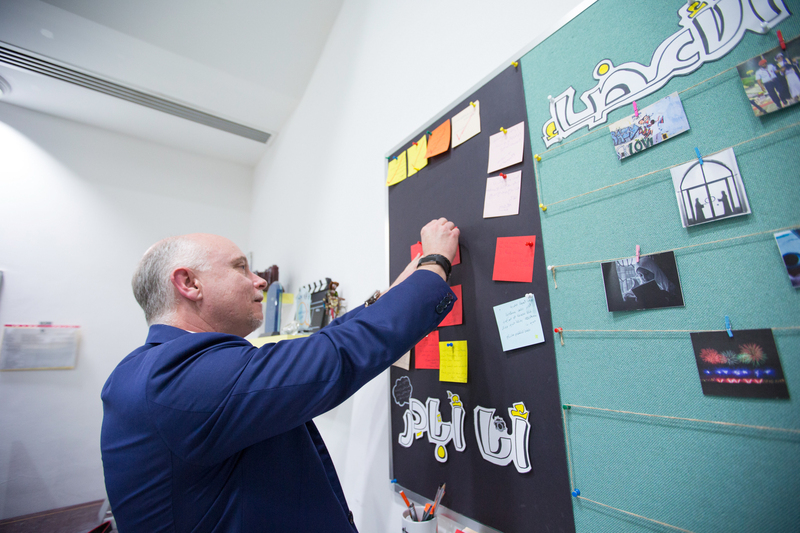 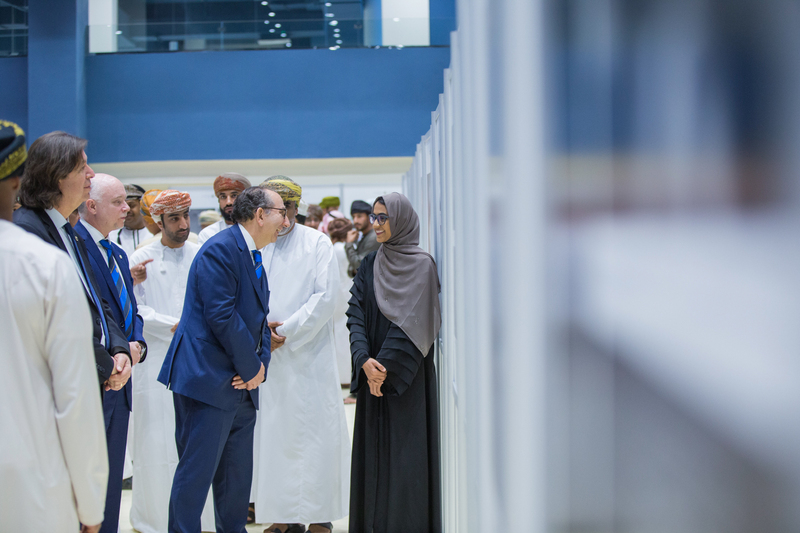 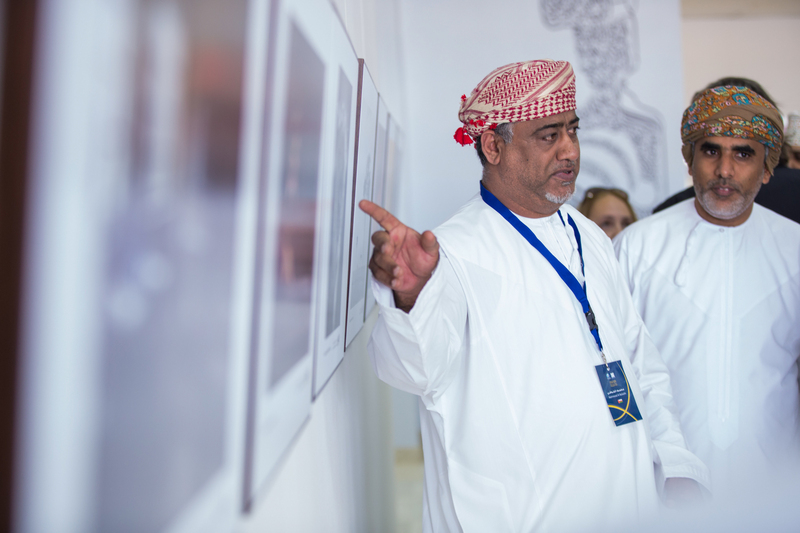 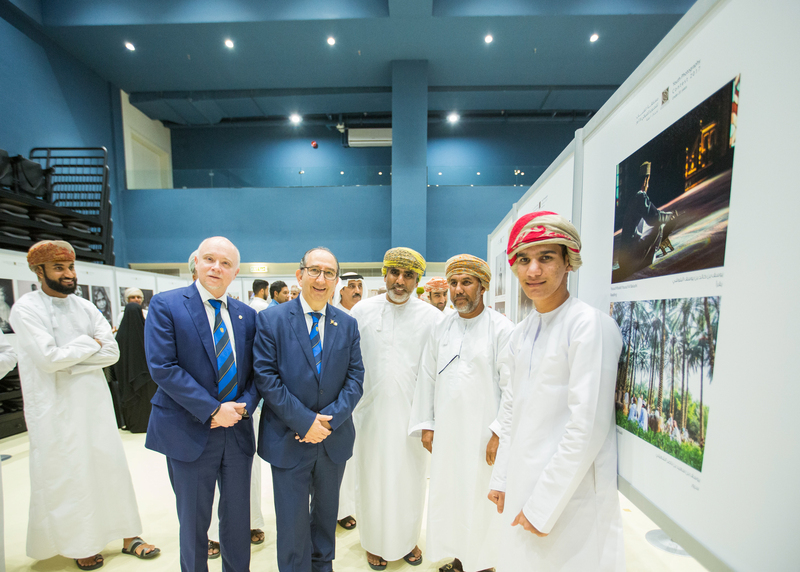 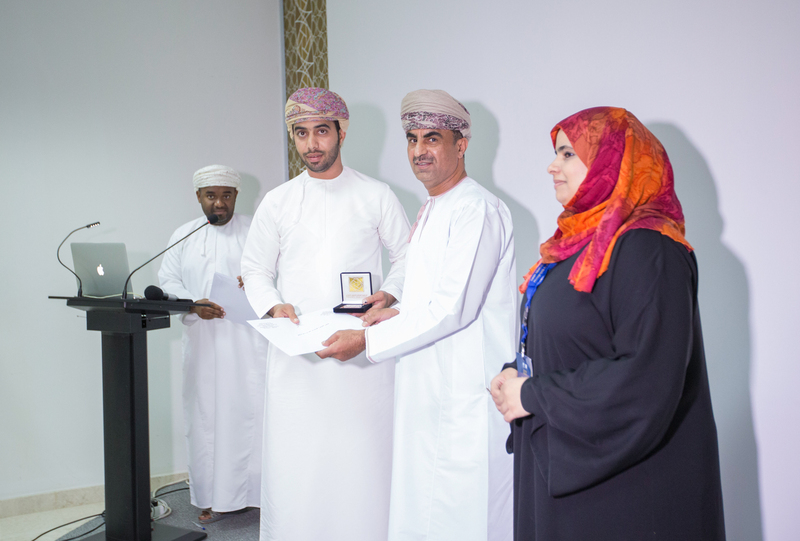 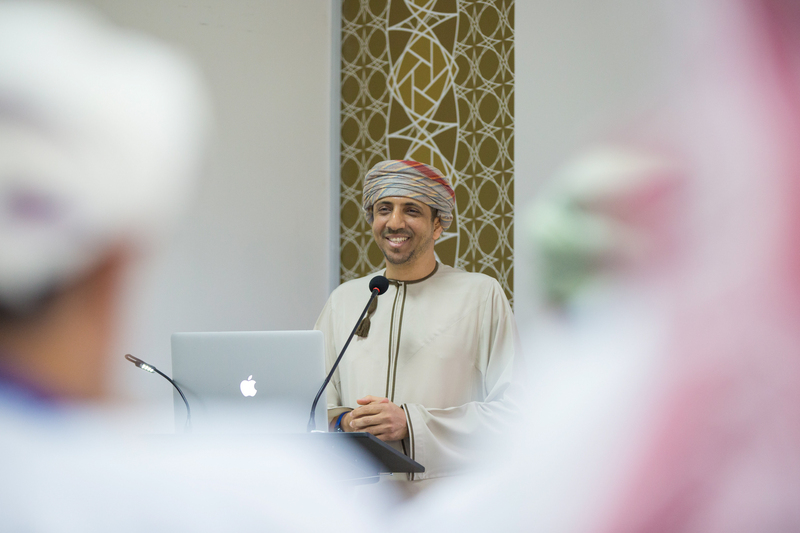 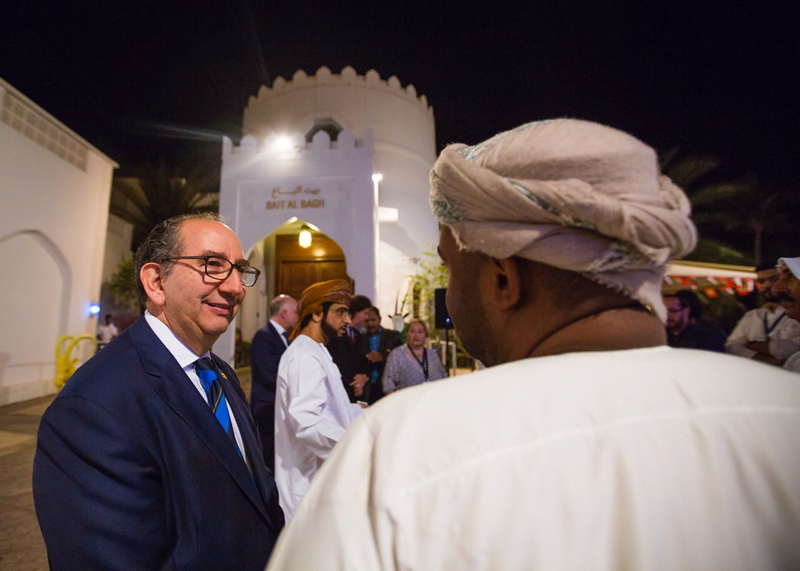 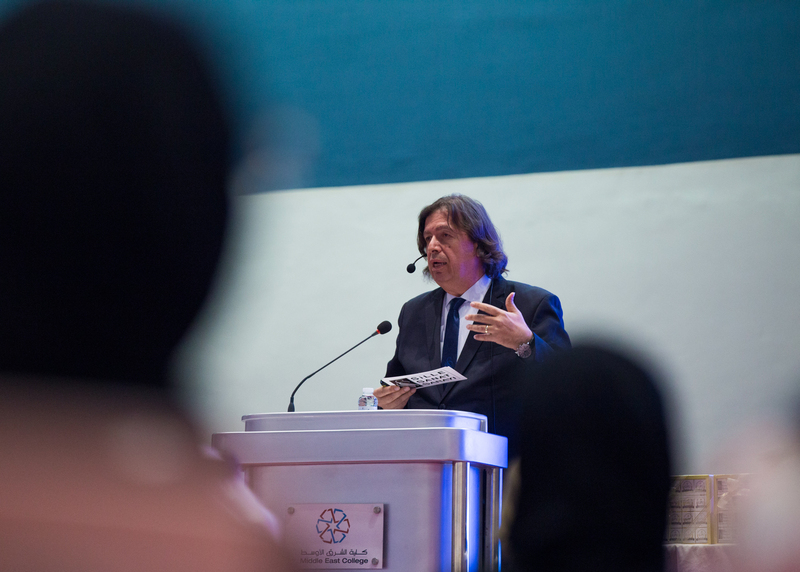 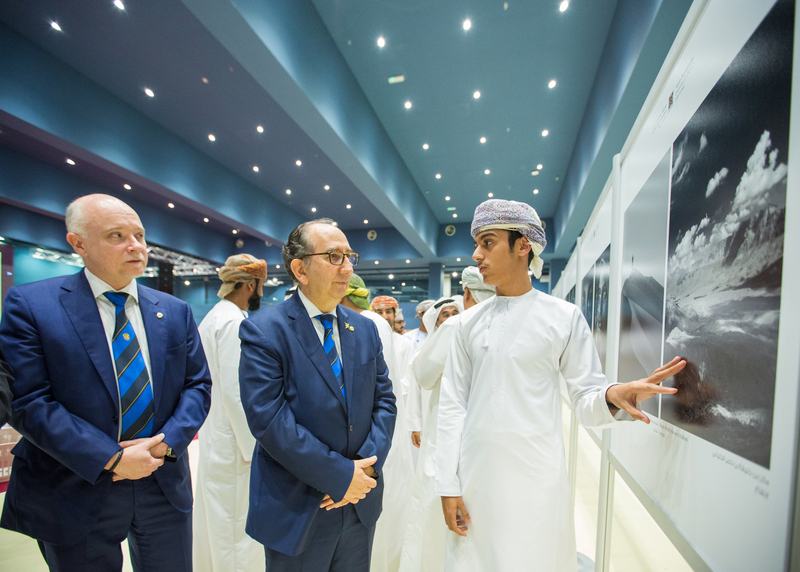 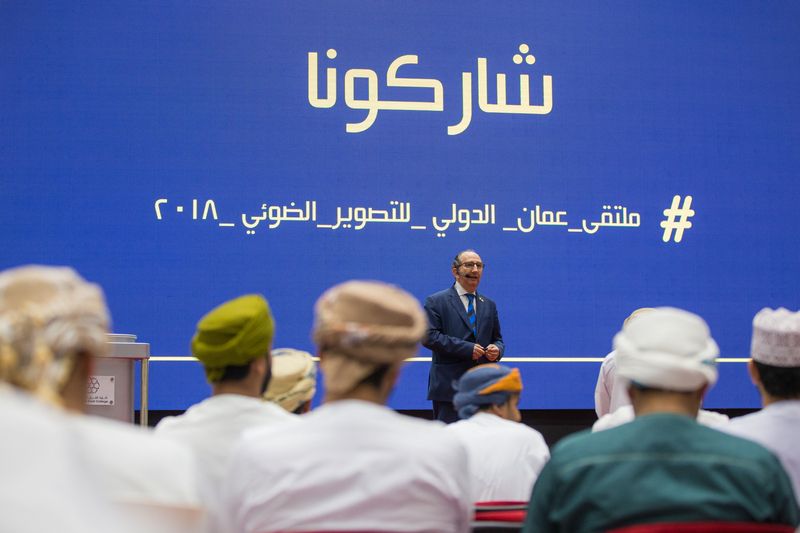 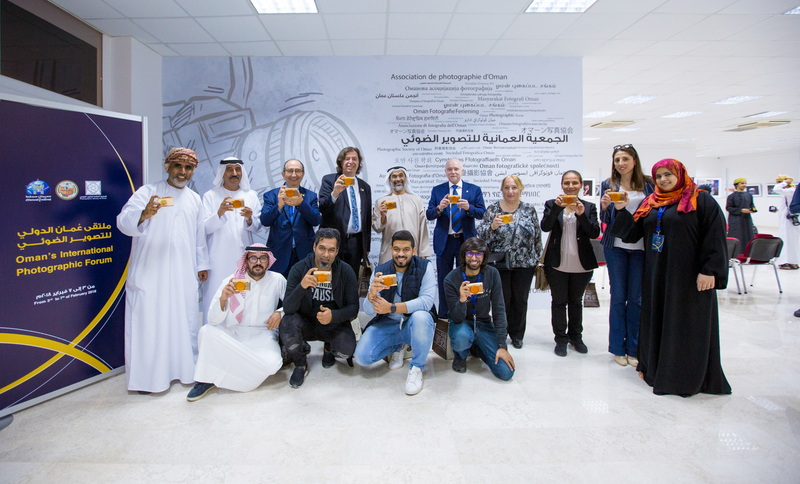 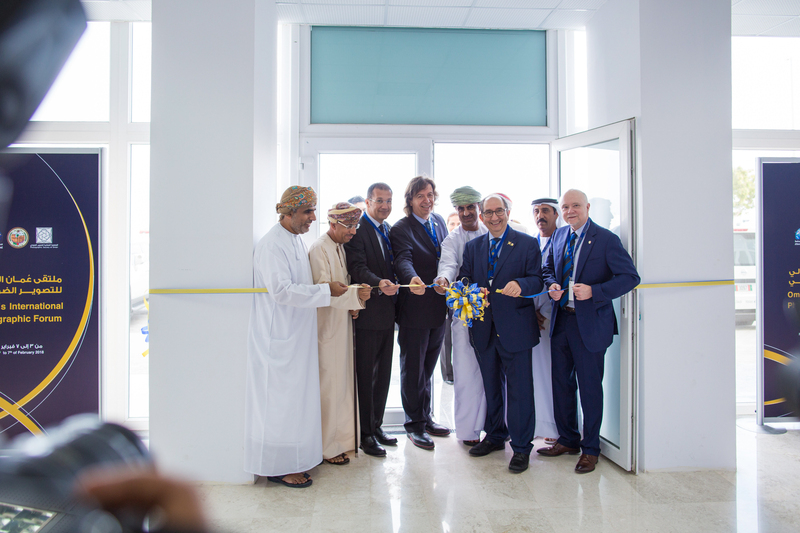 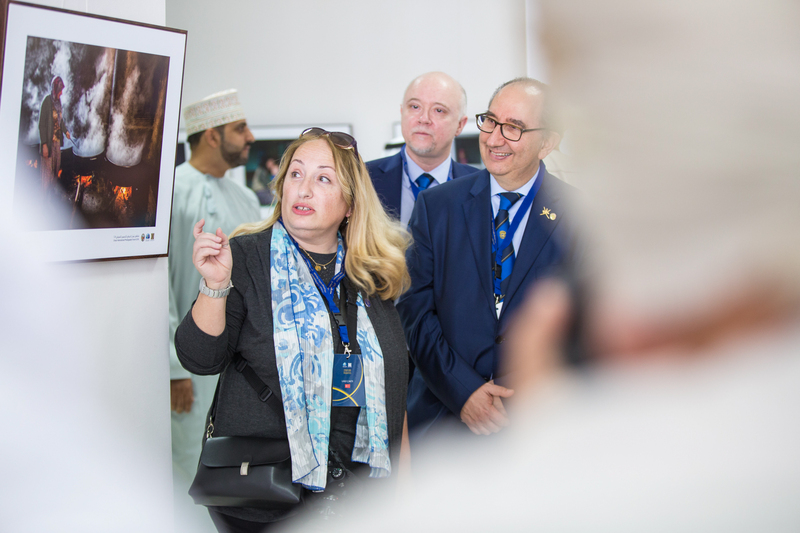 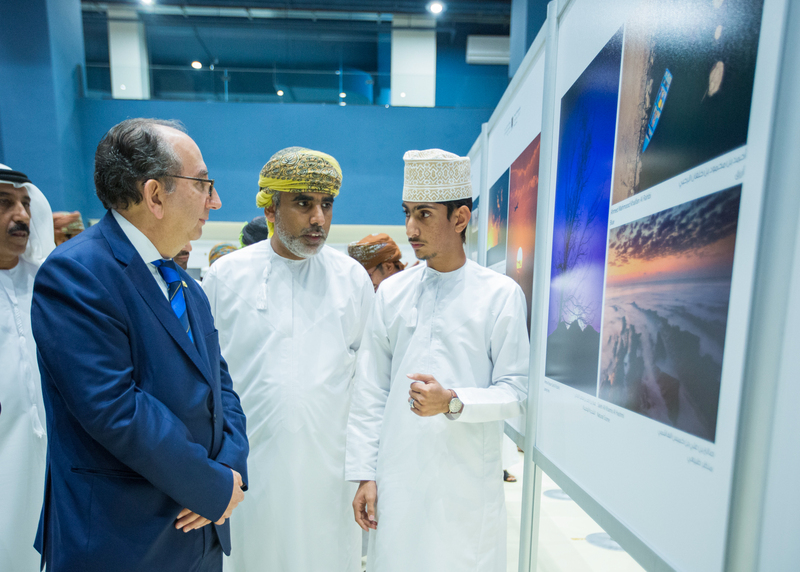 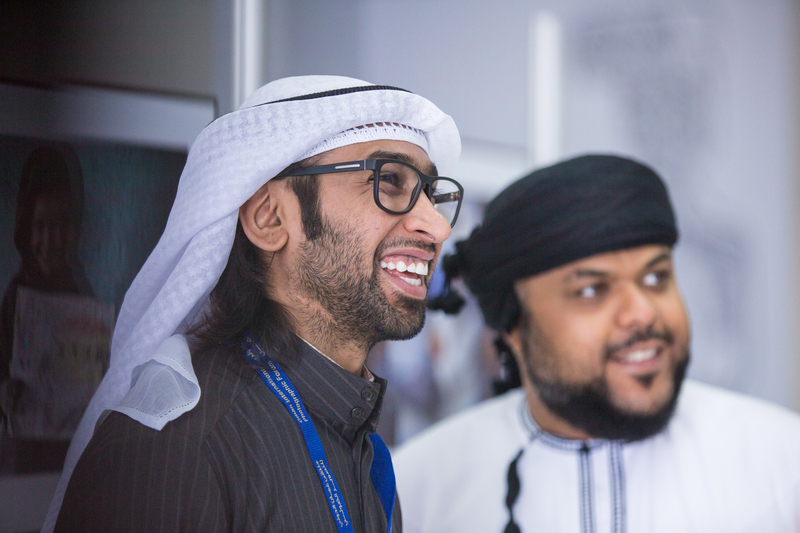 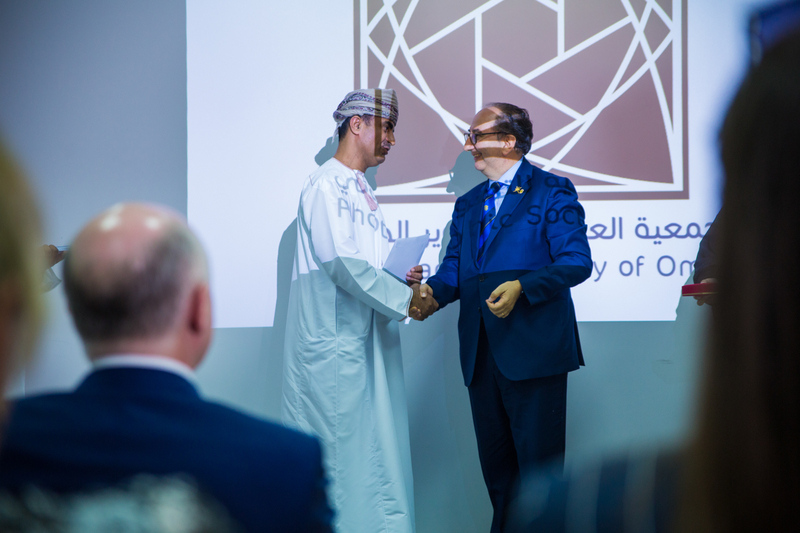 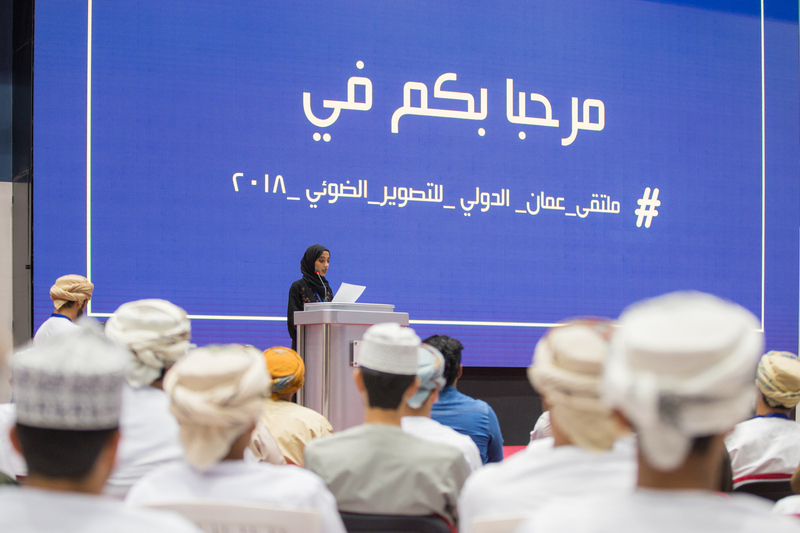 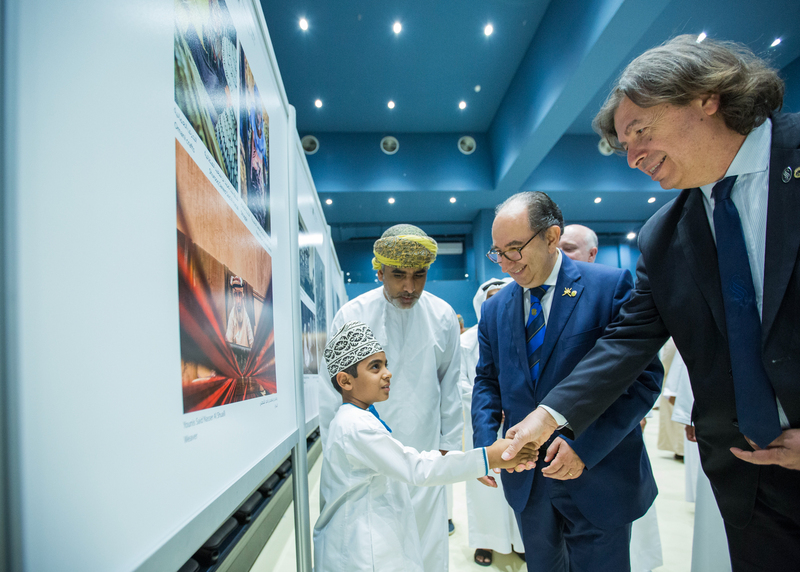 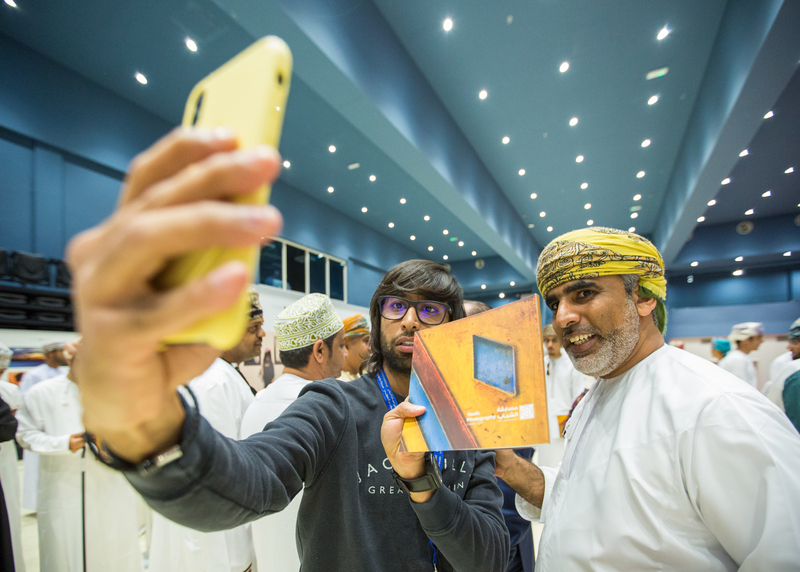 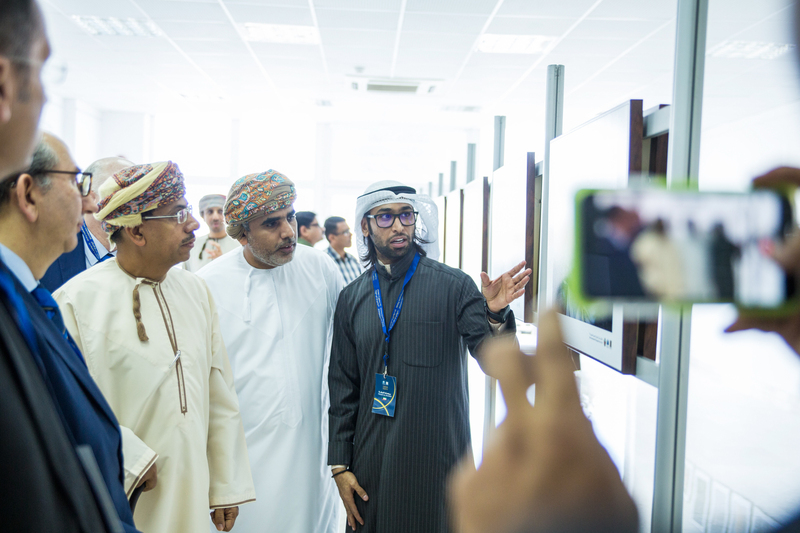 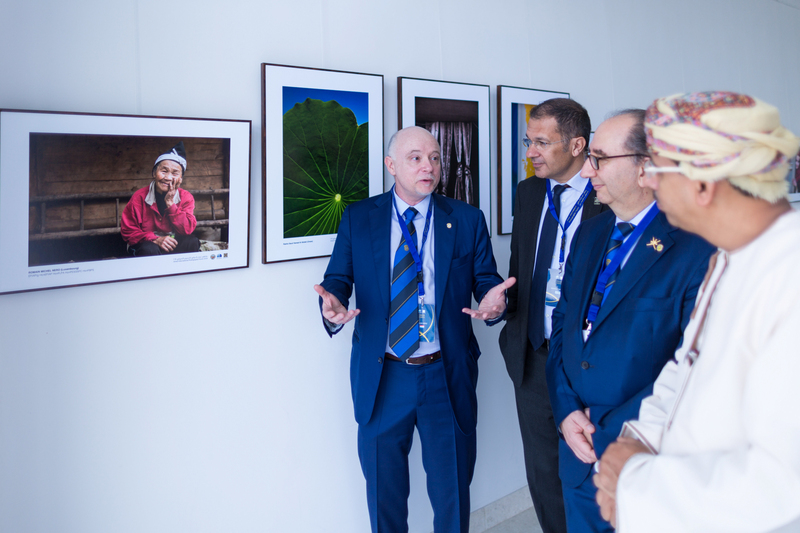 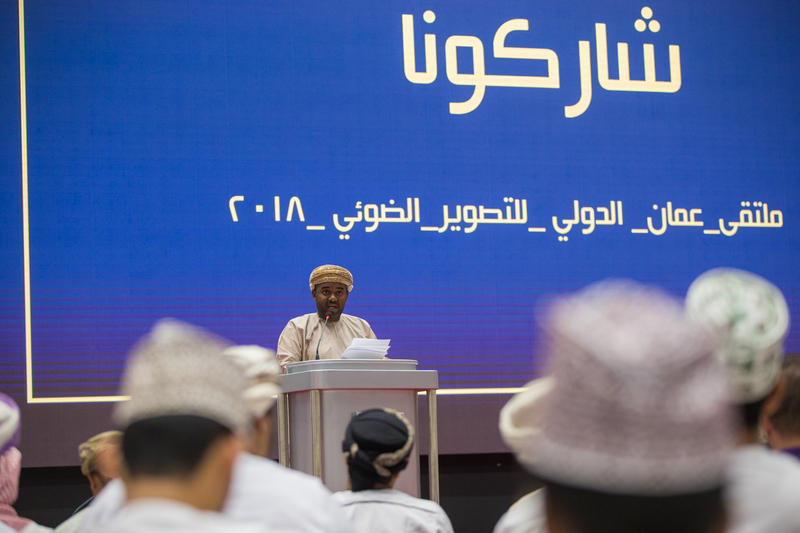 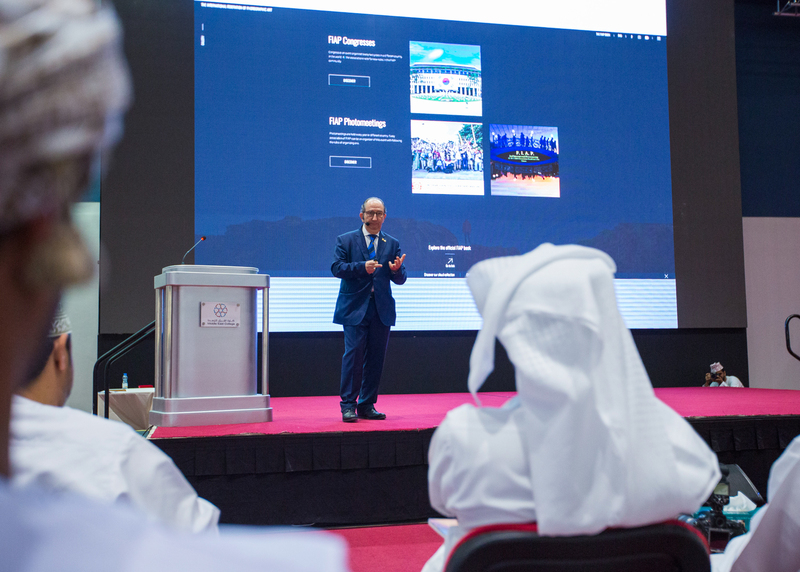 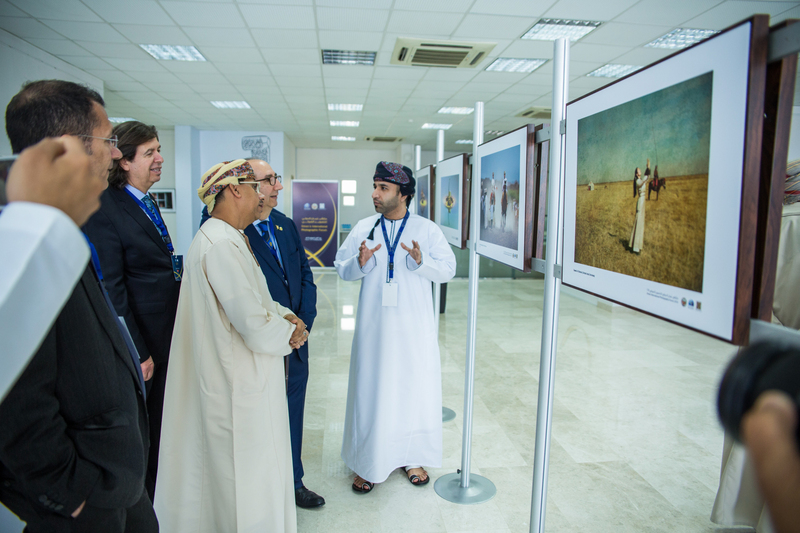 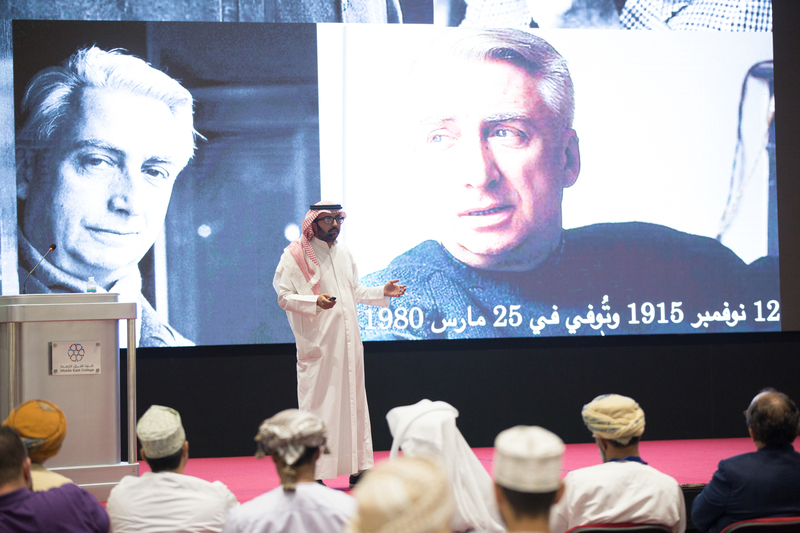 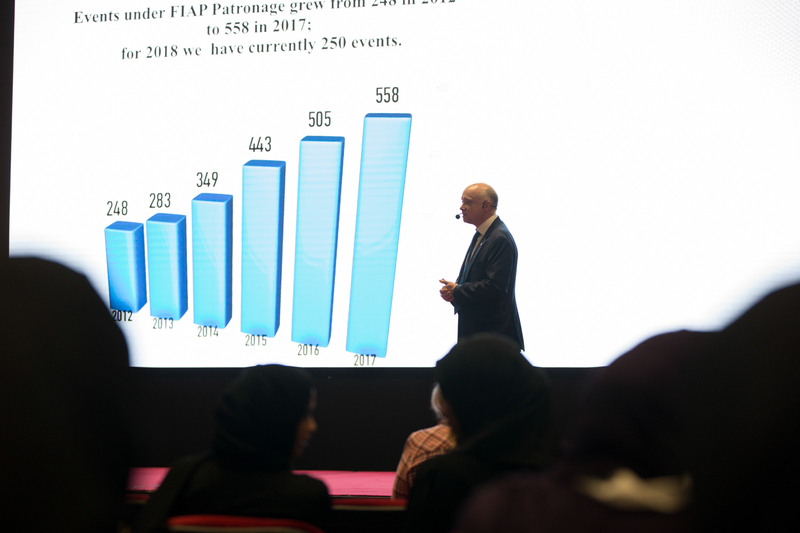 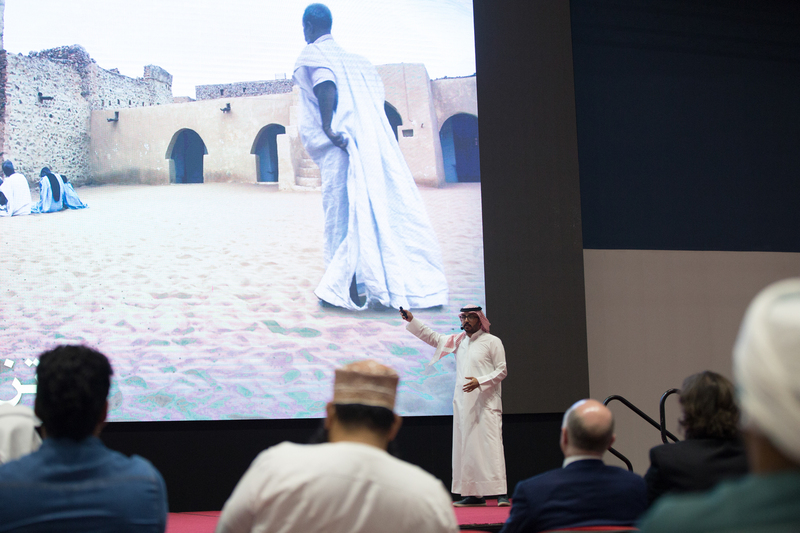 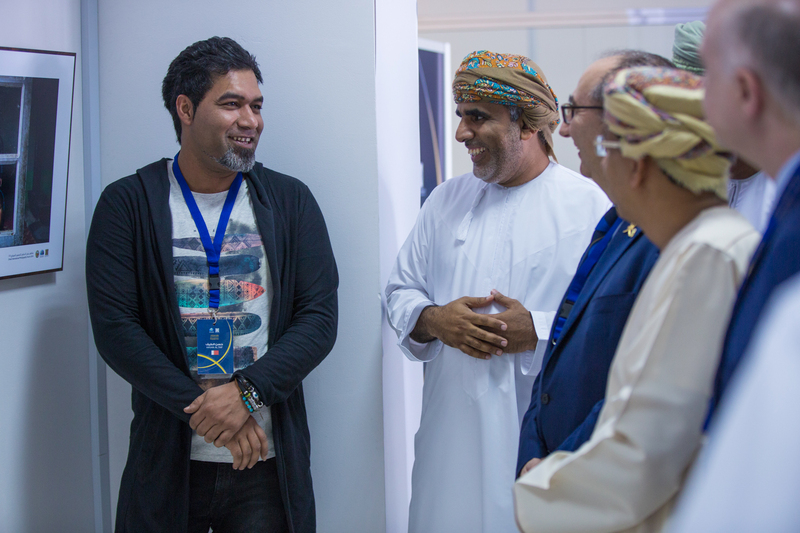 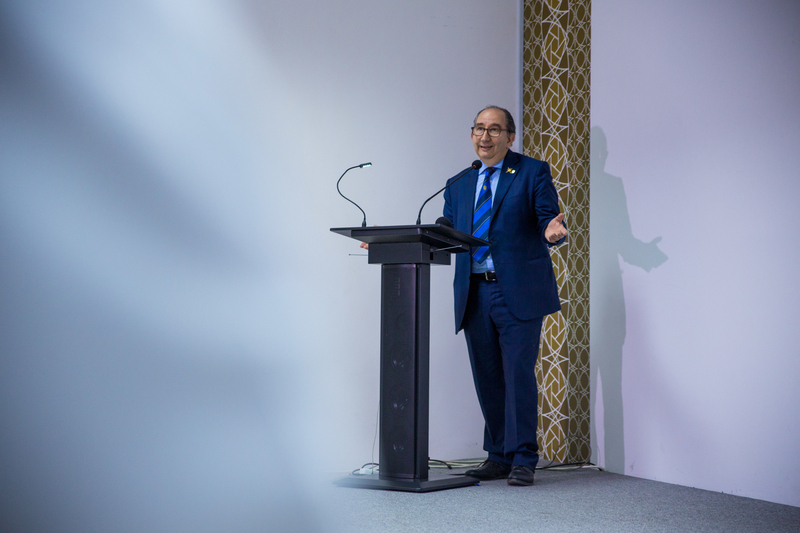 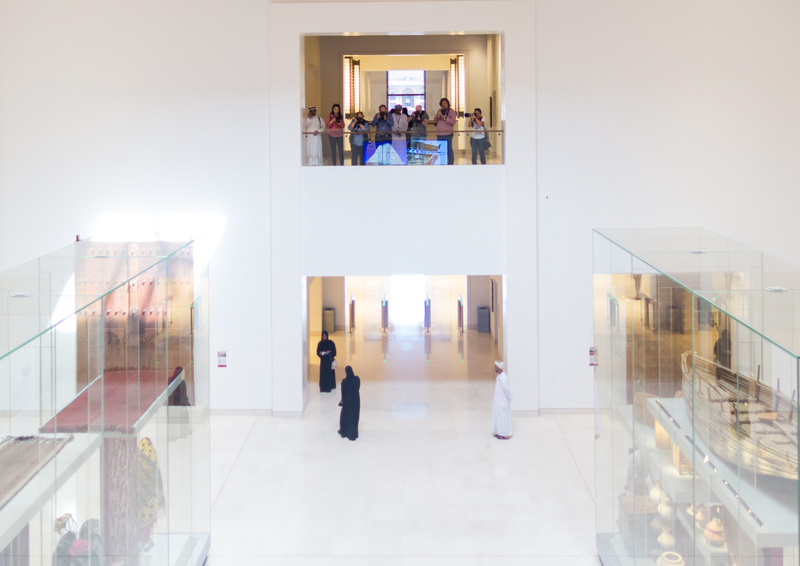 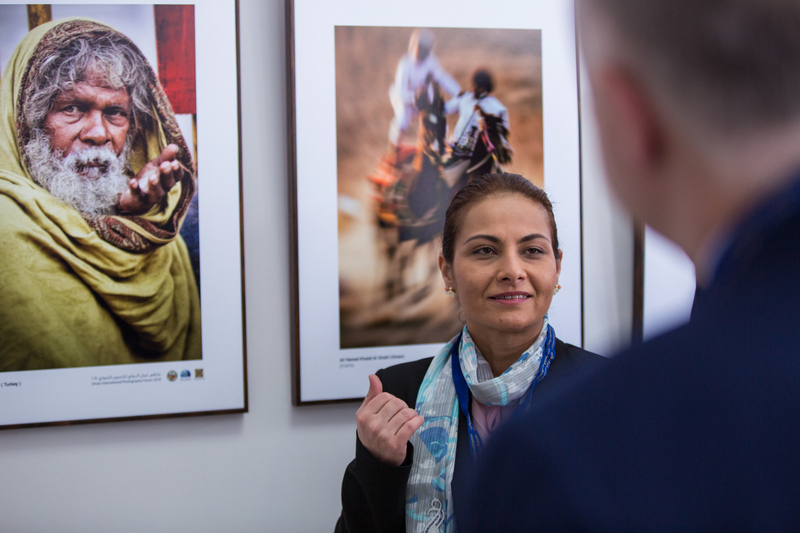 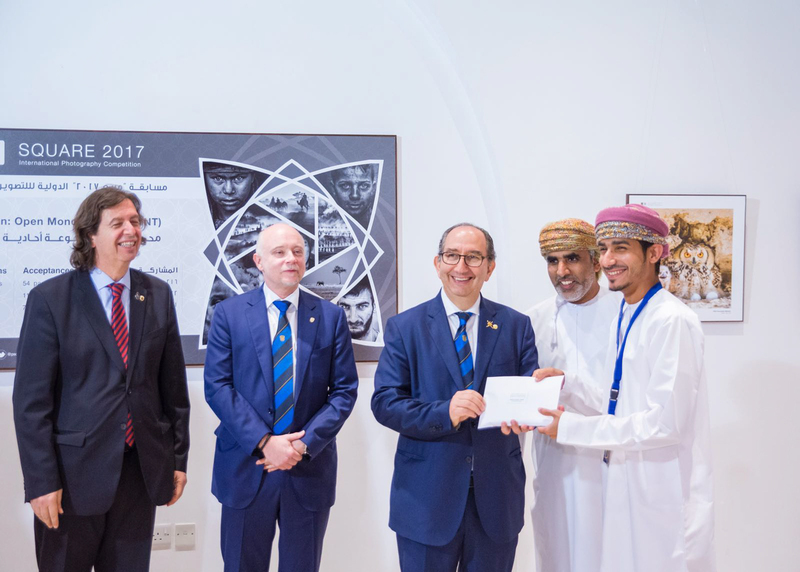 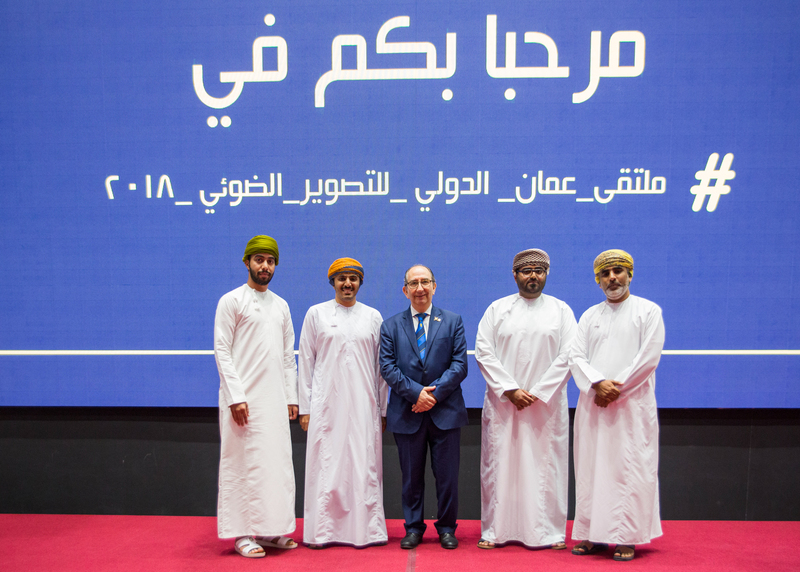 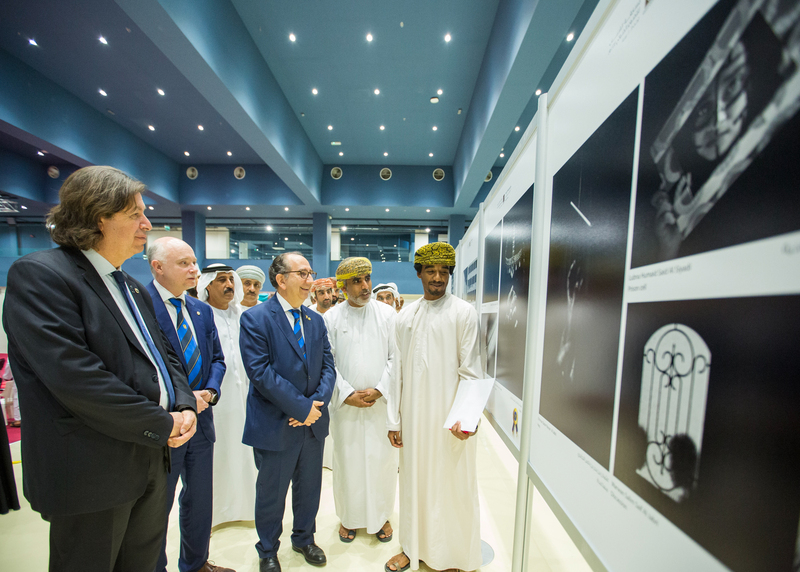 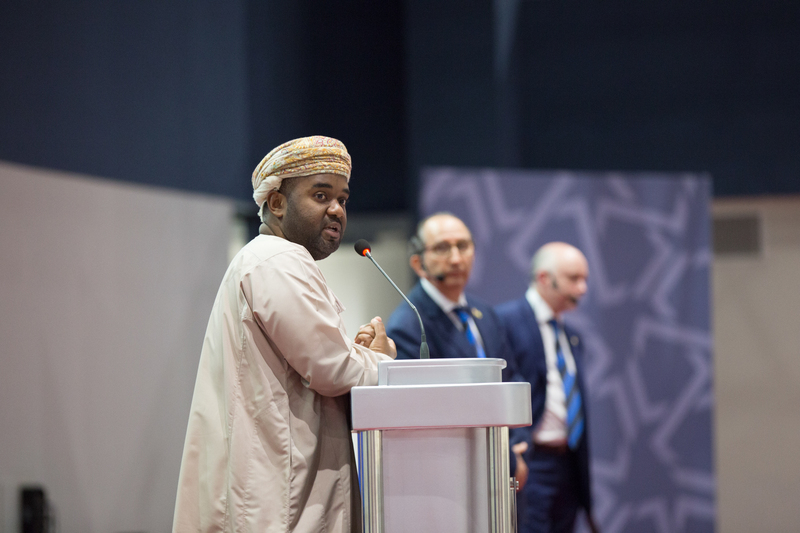 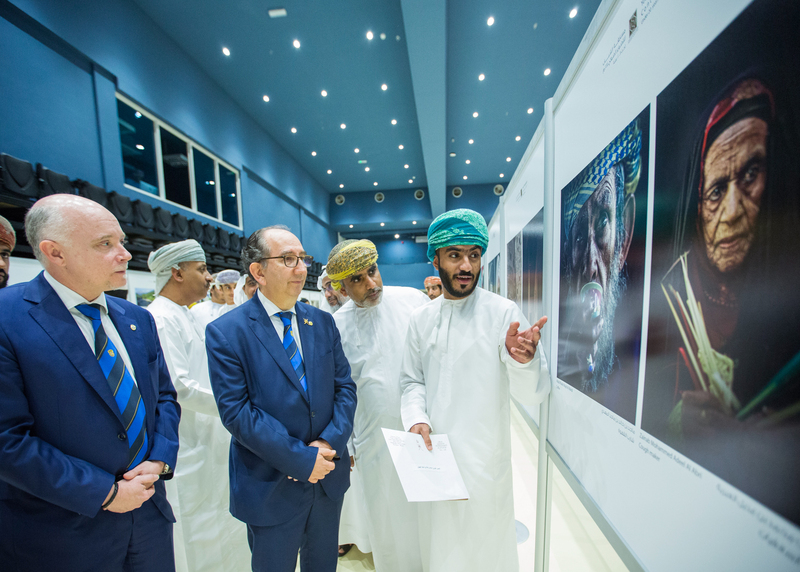 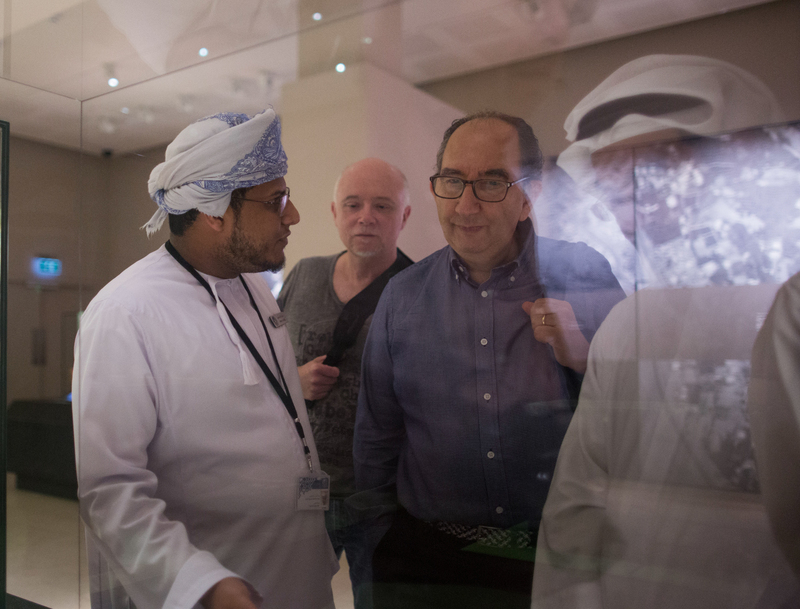 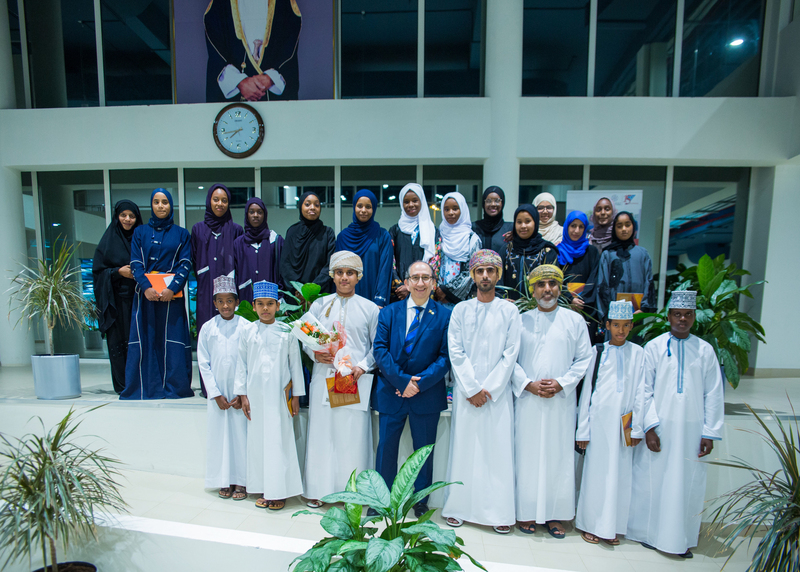 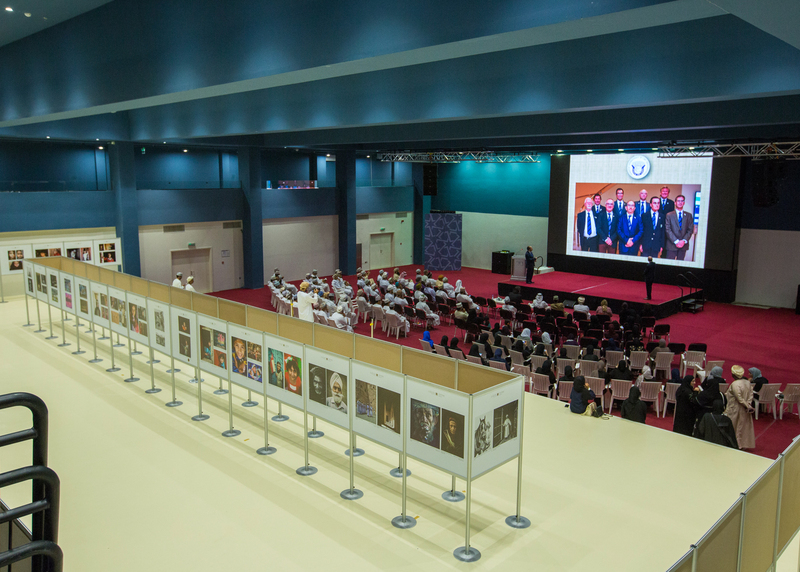 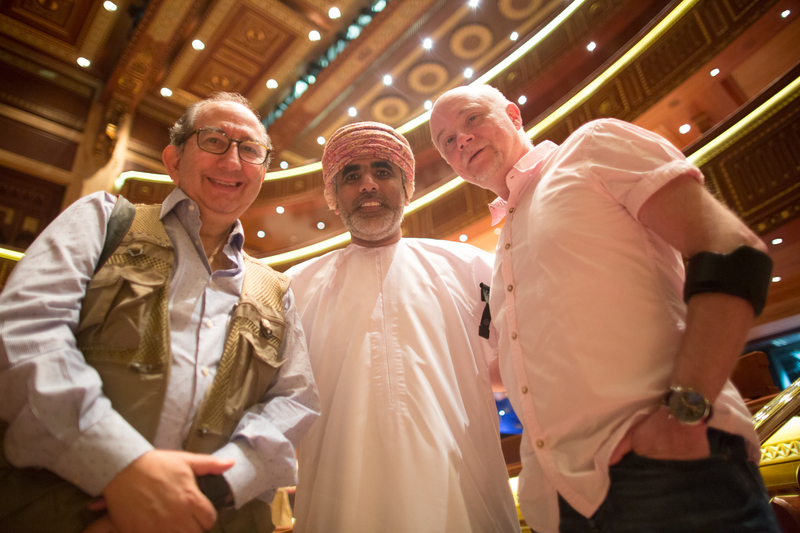 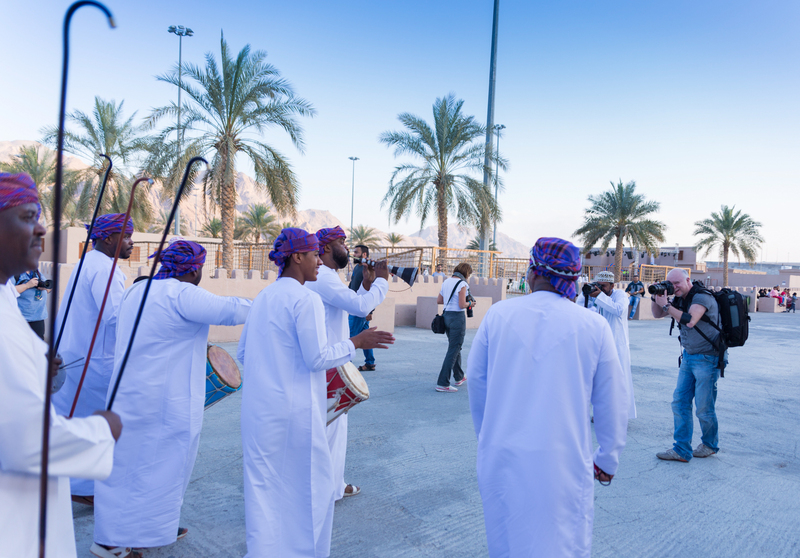 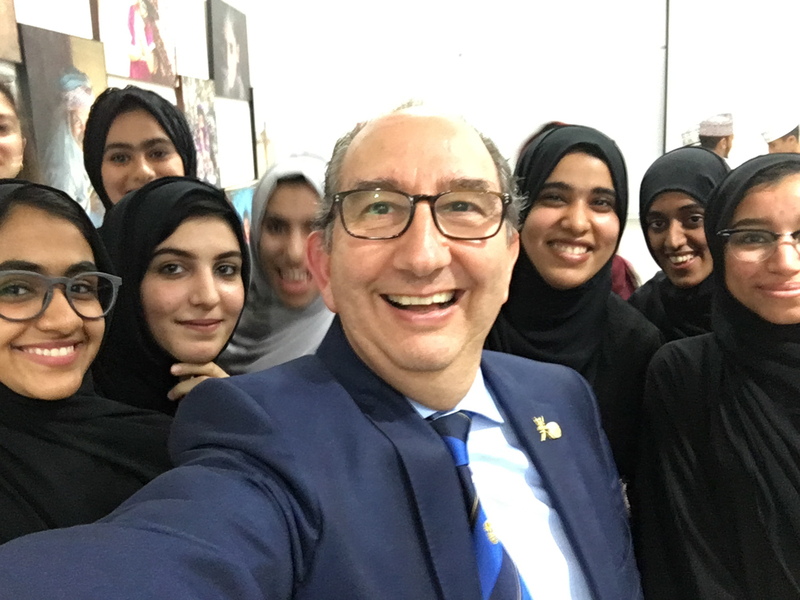 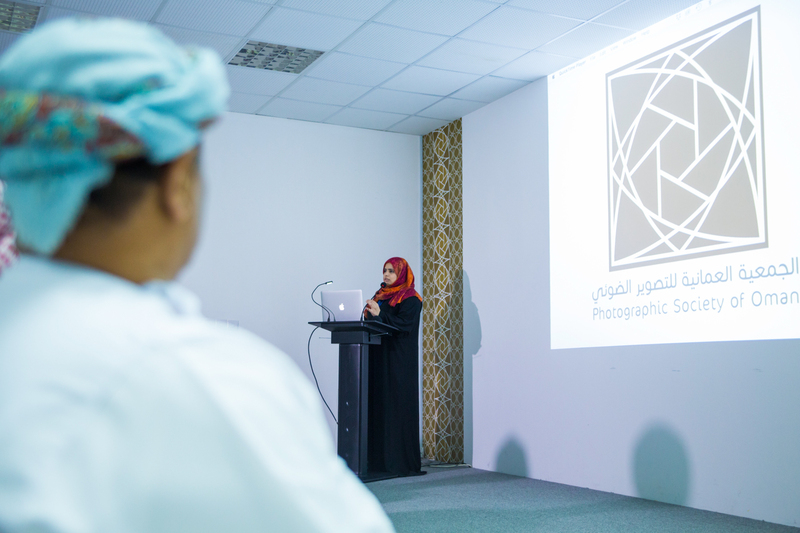 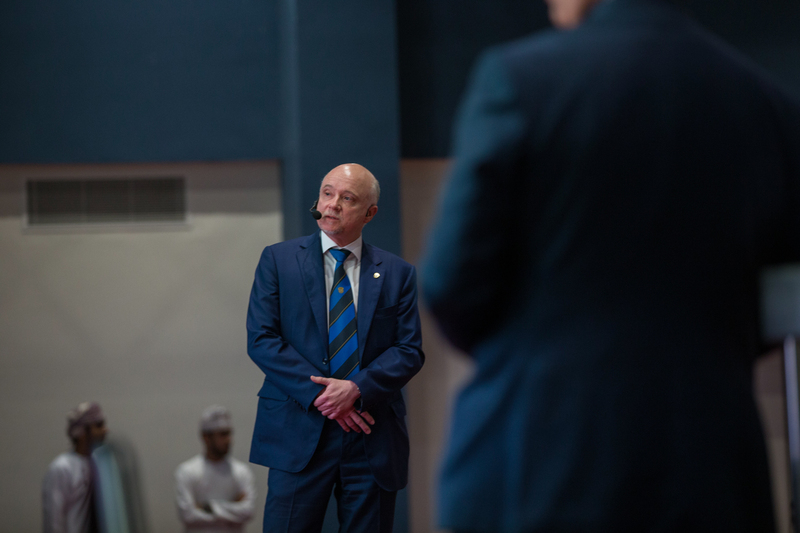 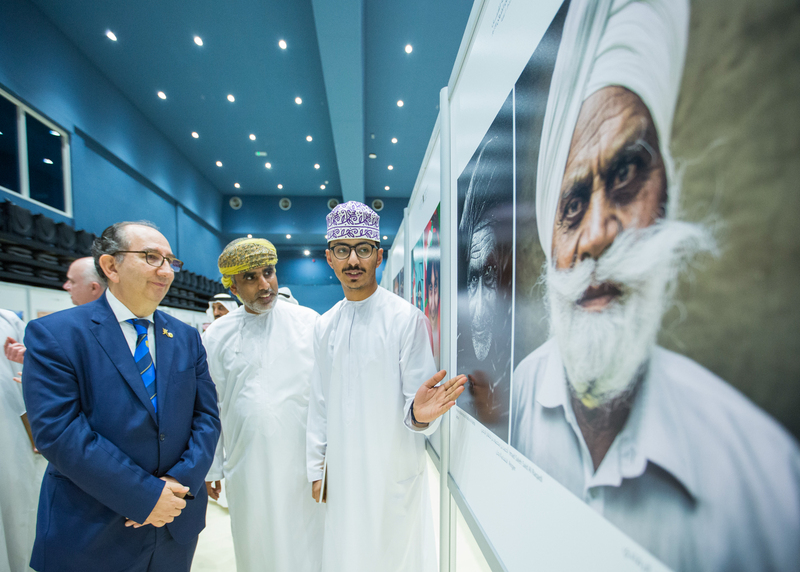 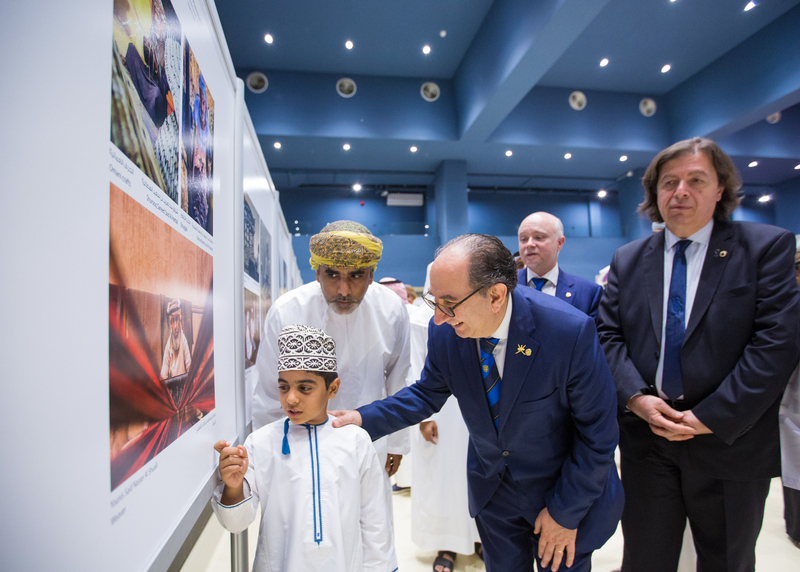 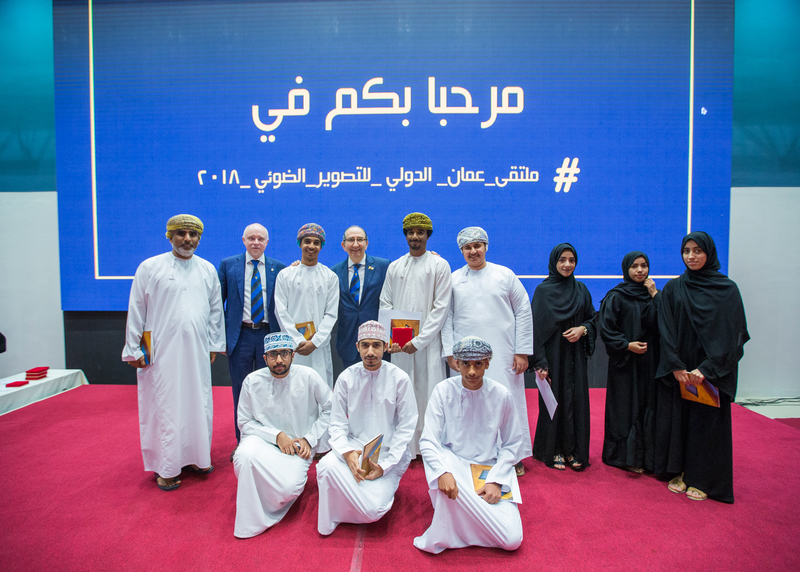 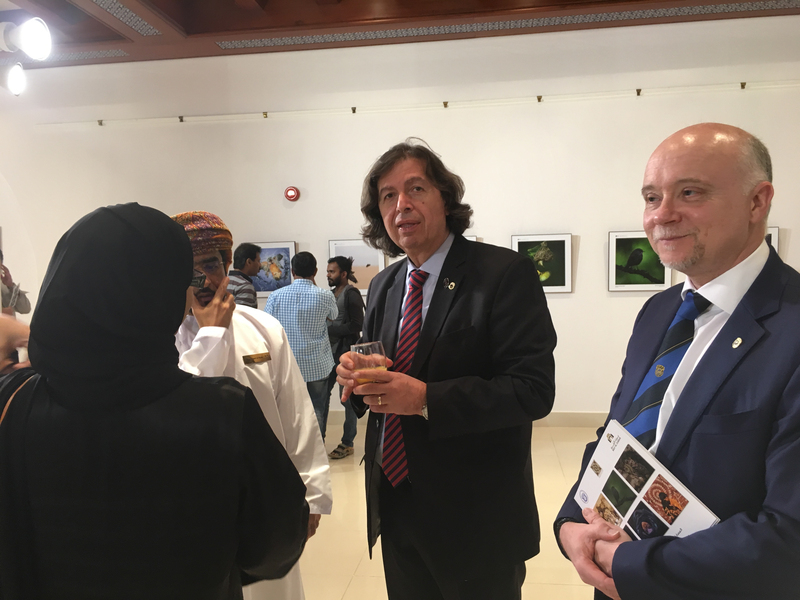 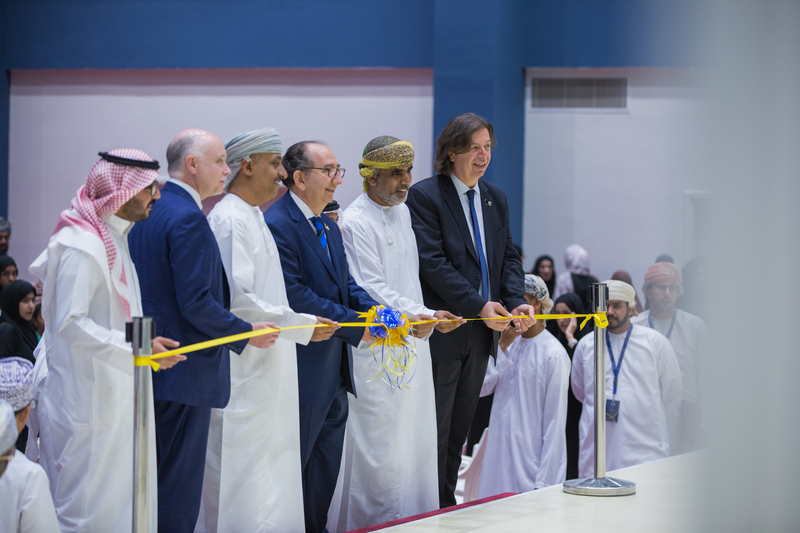 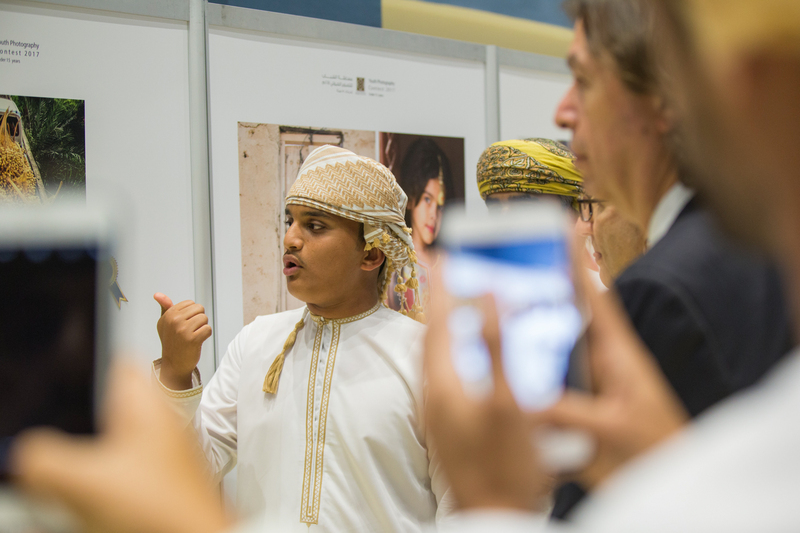 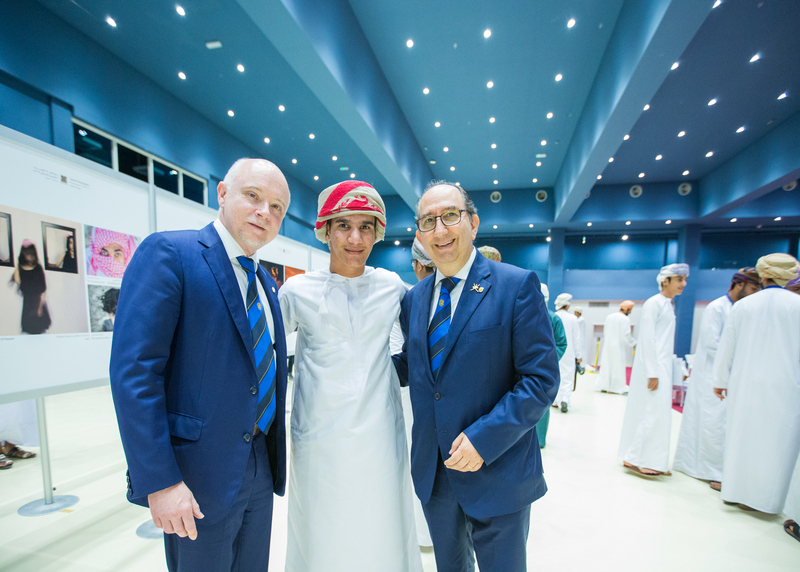 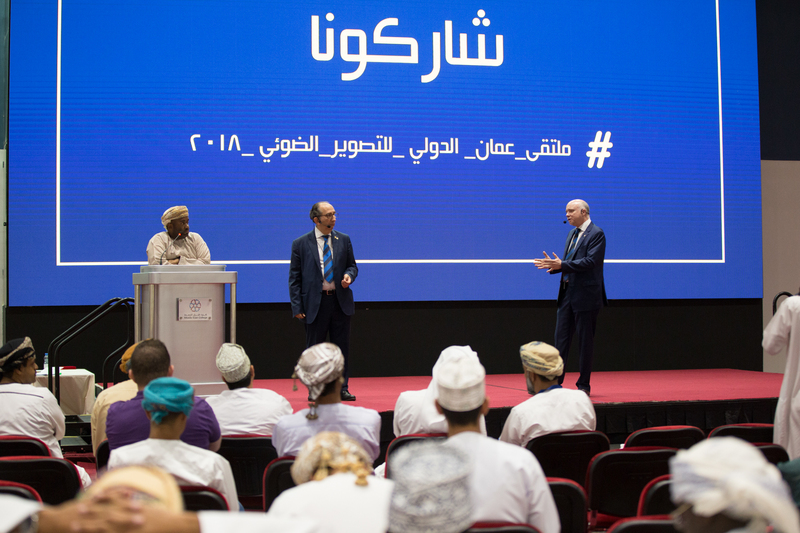 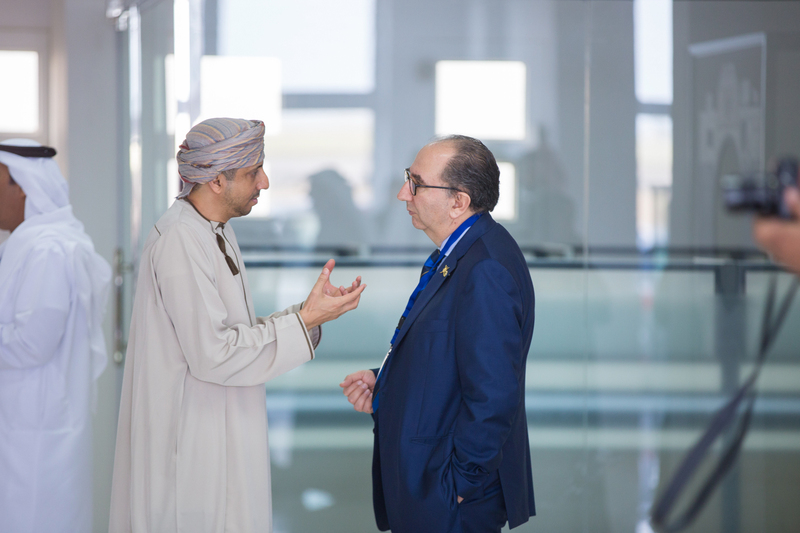 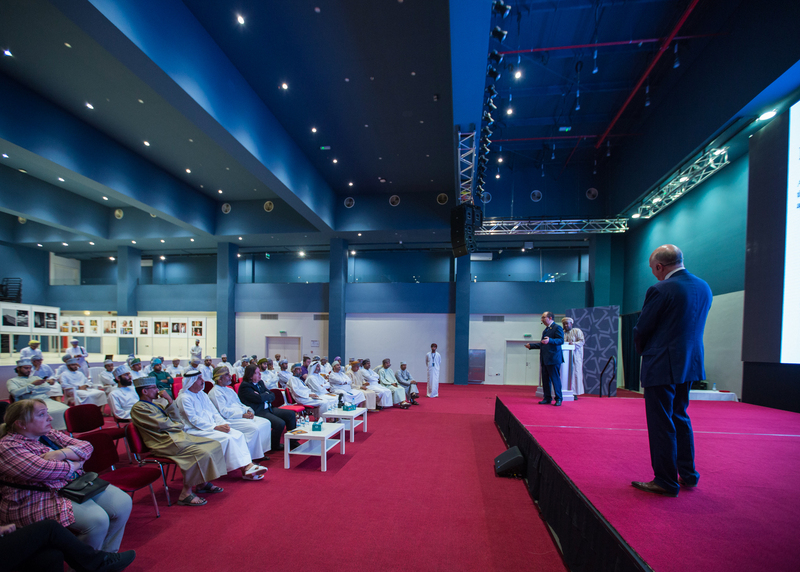 The forum included a series of events that started on Saturday, 3rd February with the opening of the forum exhibition and welcoming the participants who had been (13) international photographers and (21) Omani photographers from the Photographic Society of Oman. 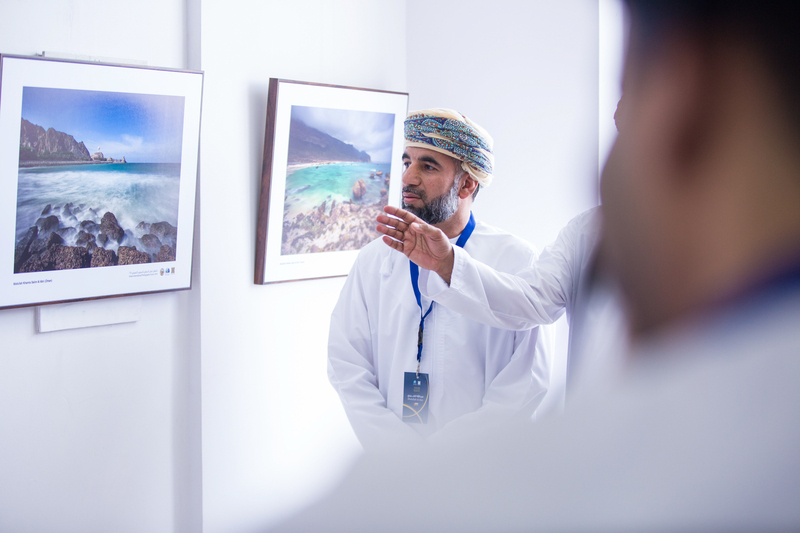 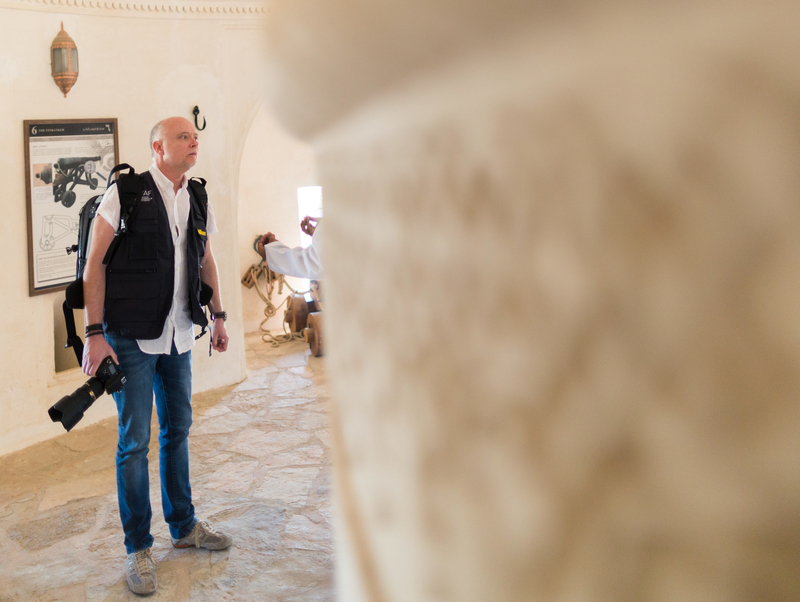 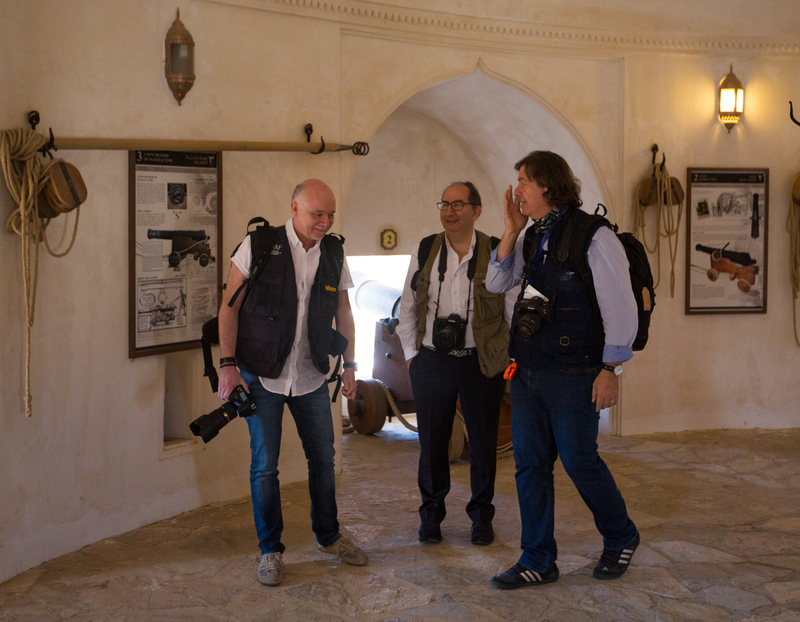 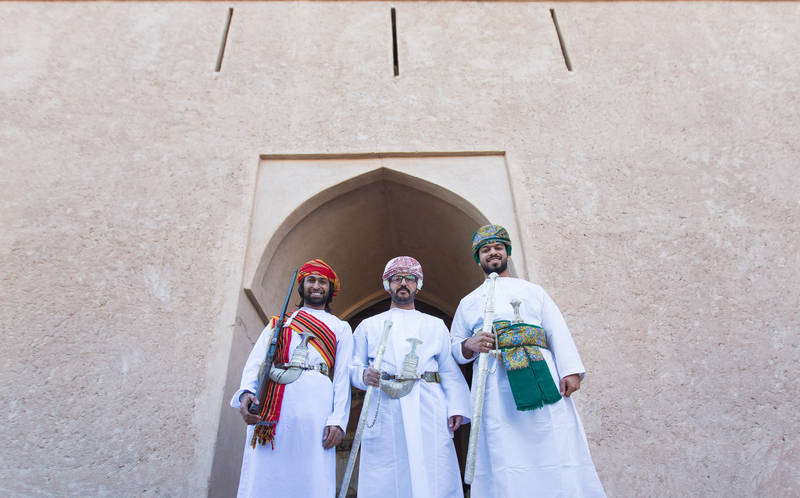 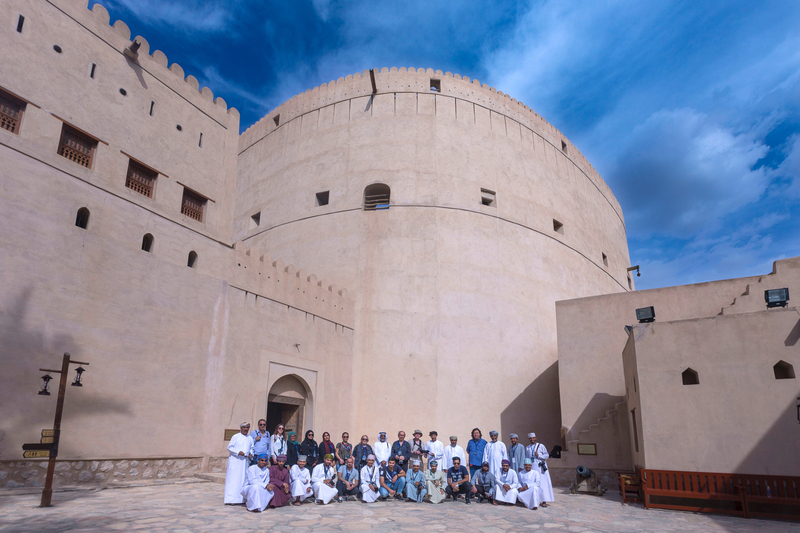 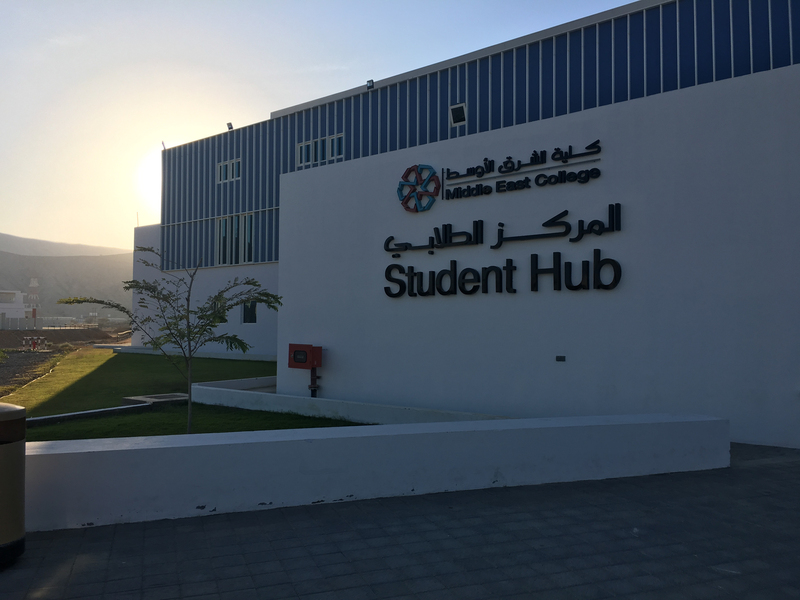 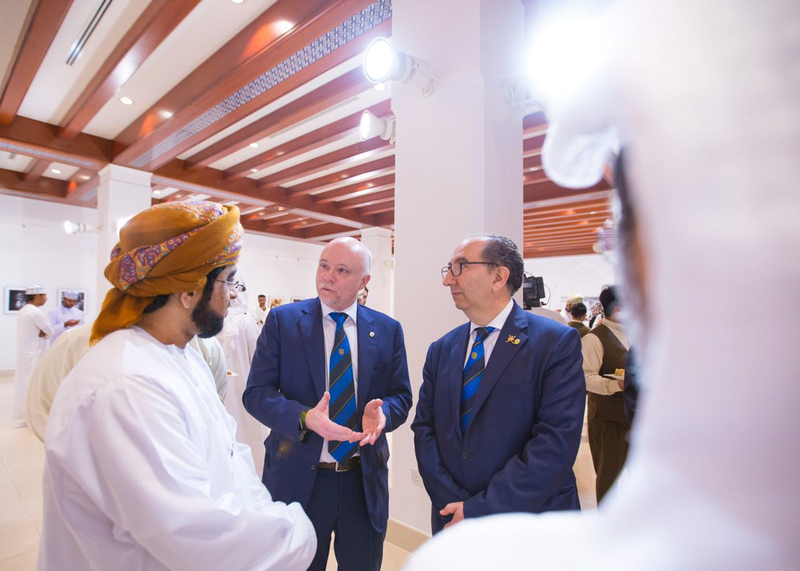 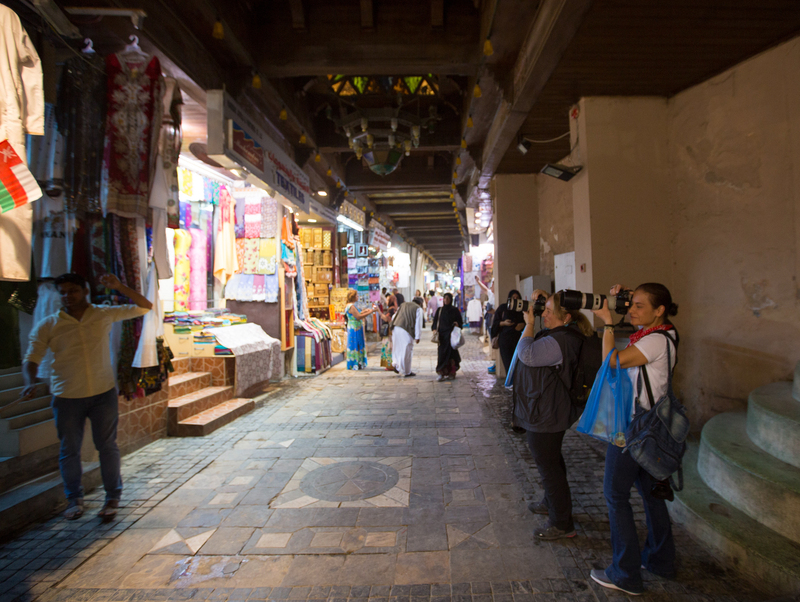 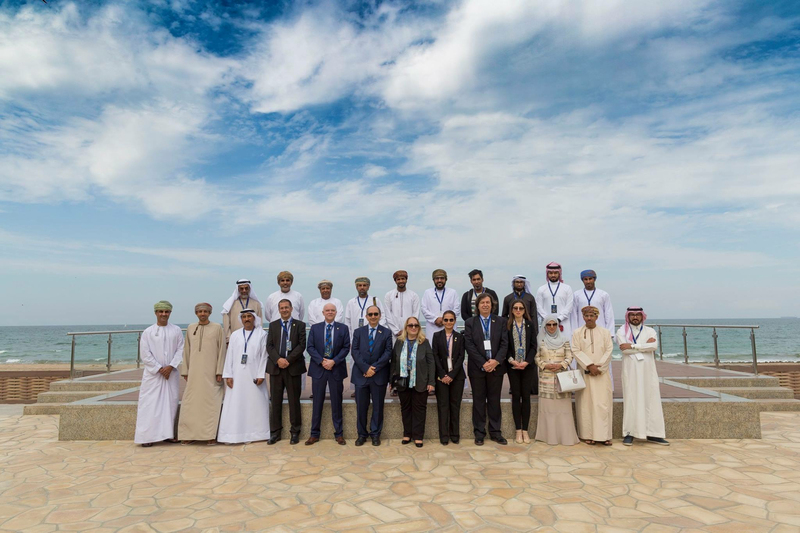 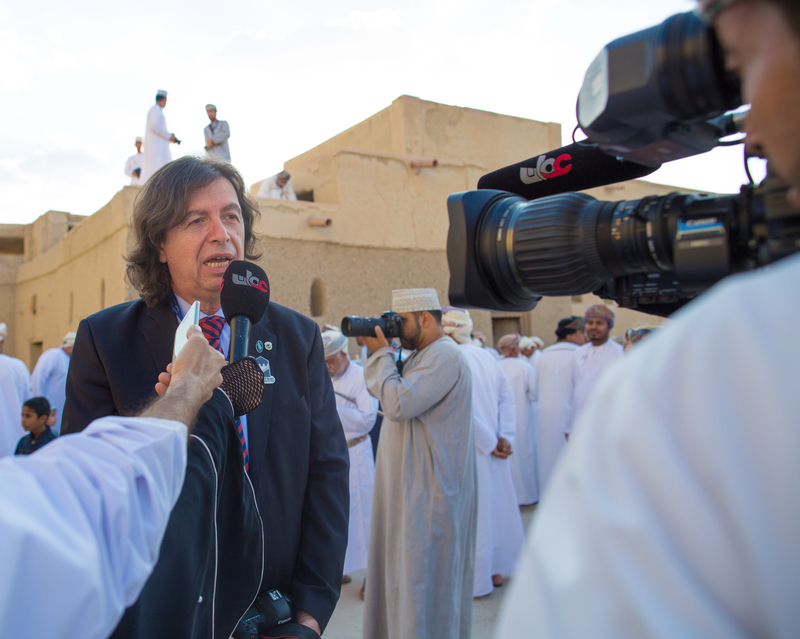 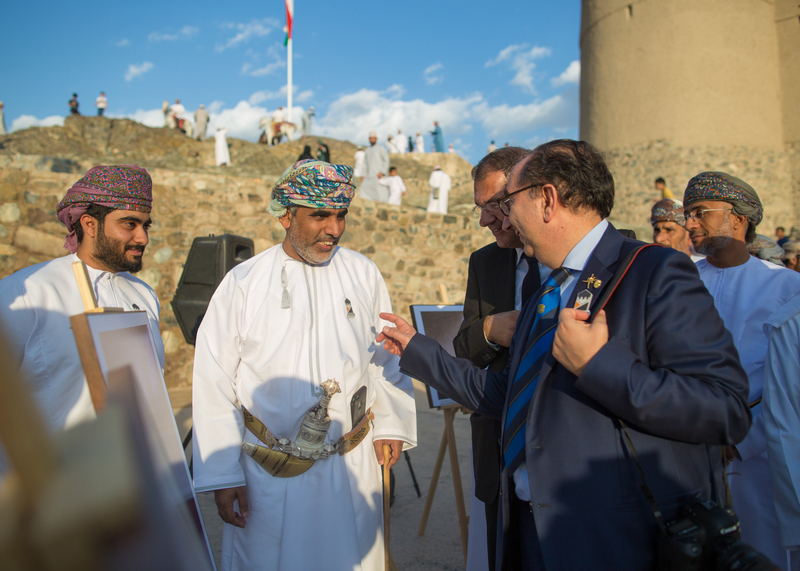 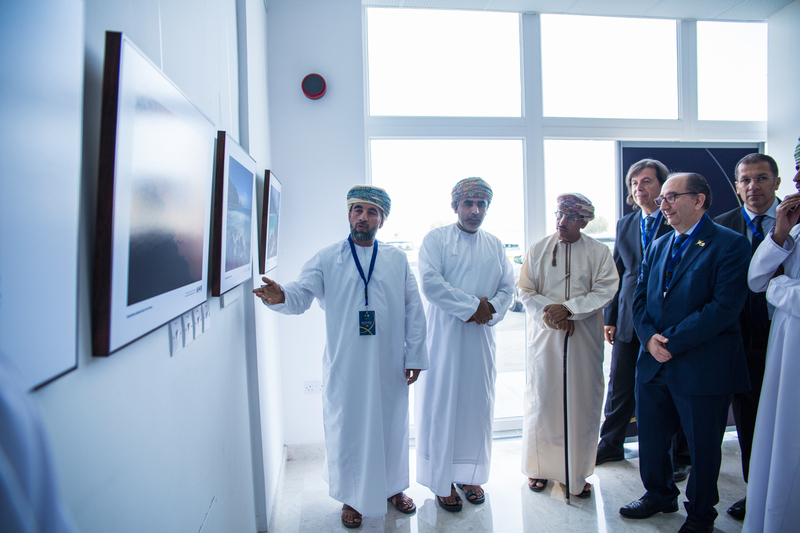 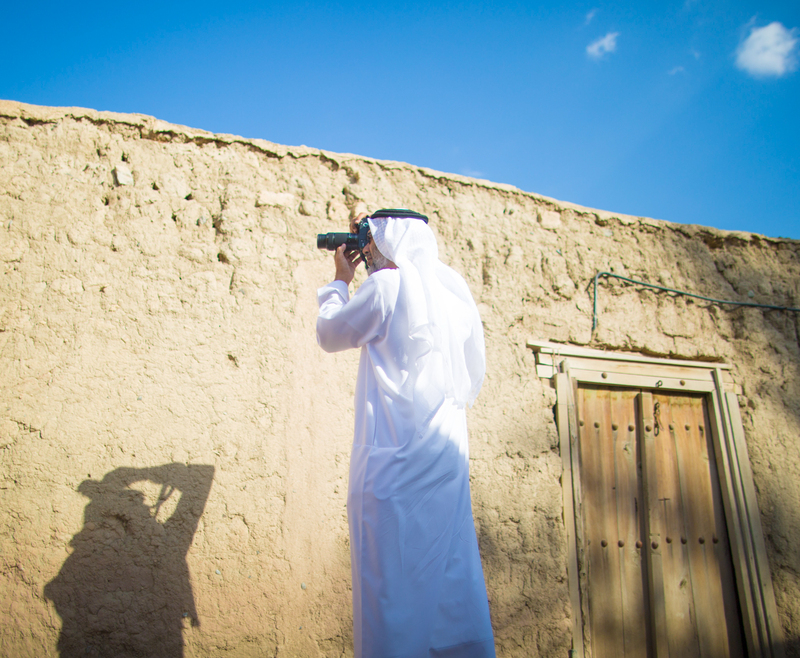 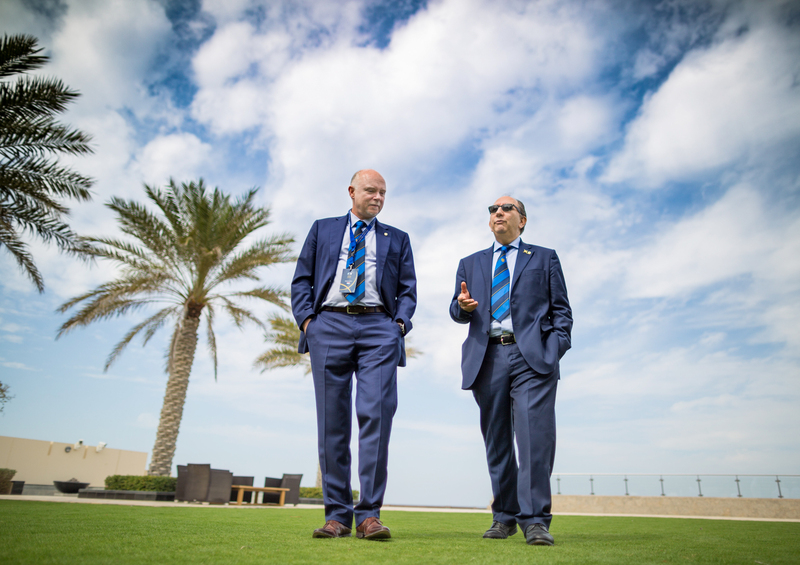 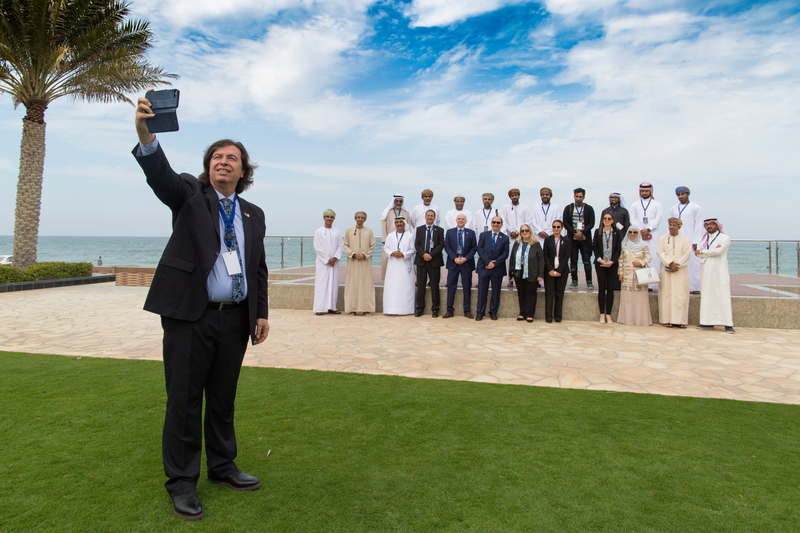 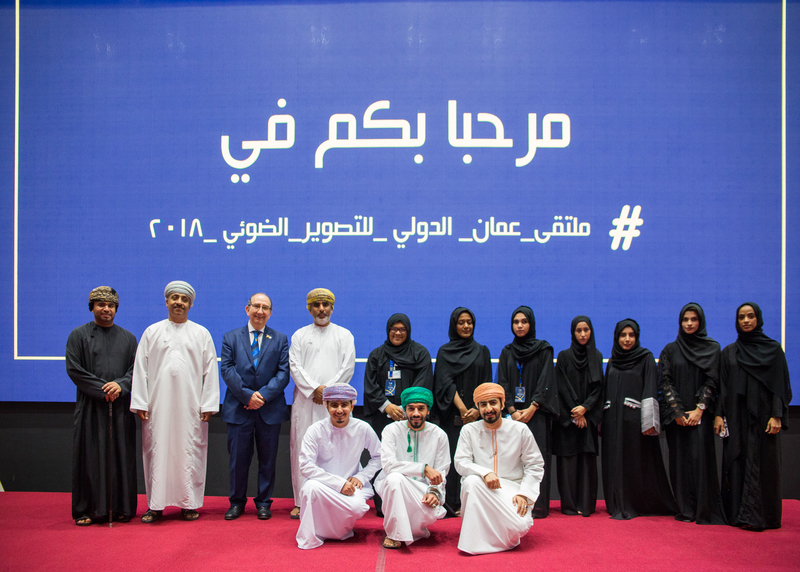 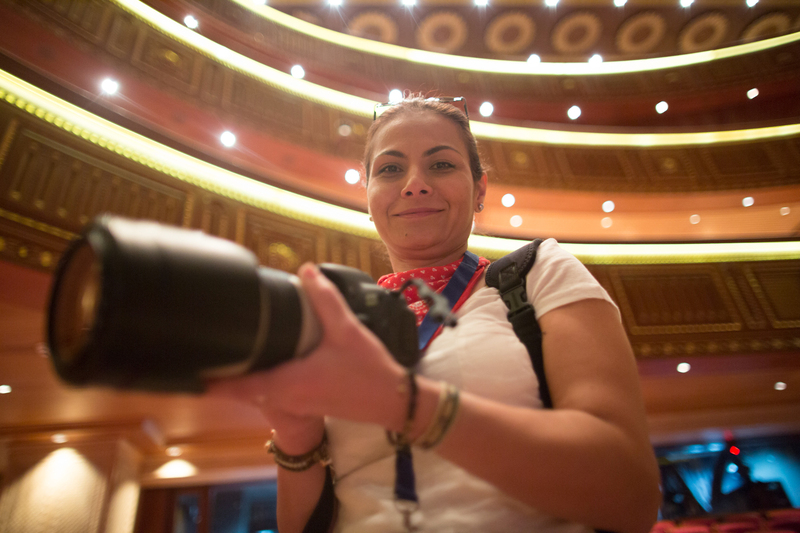 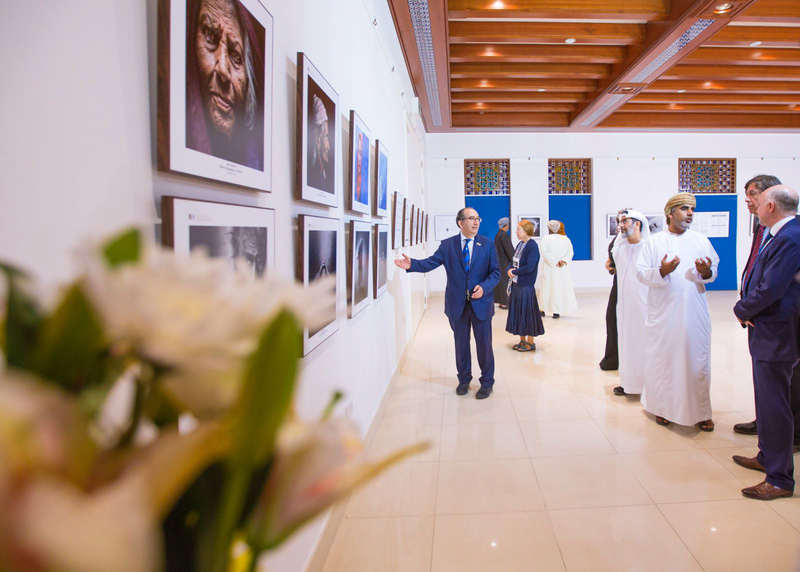 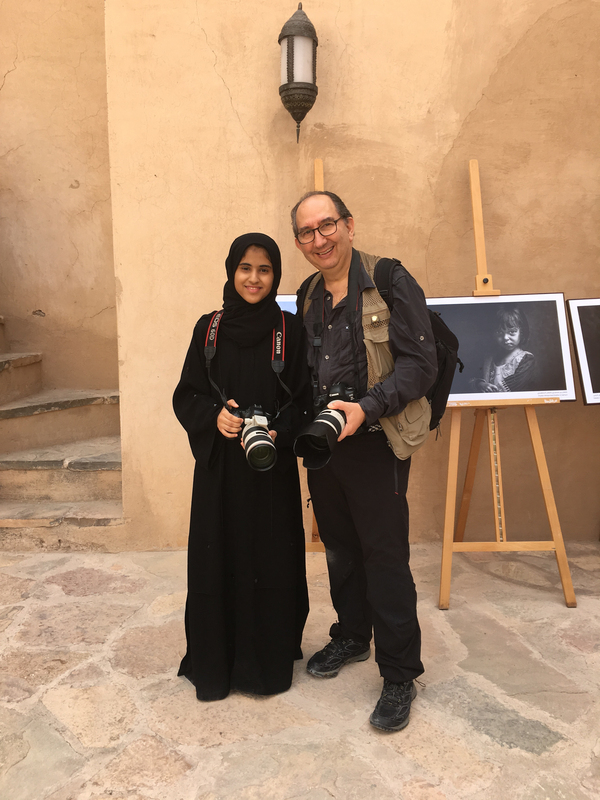 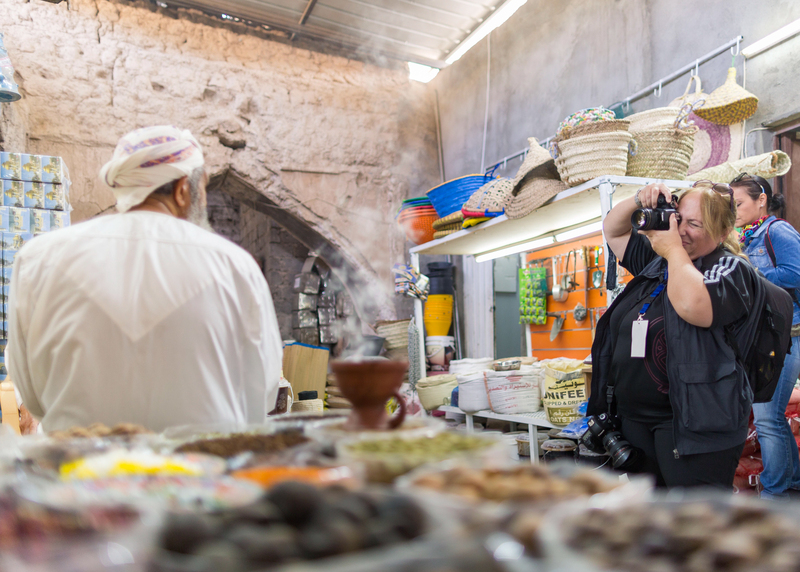 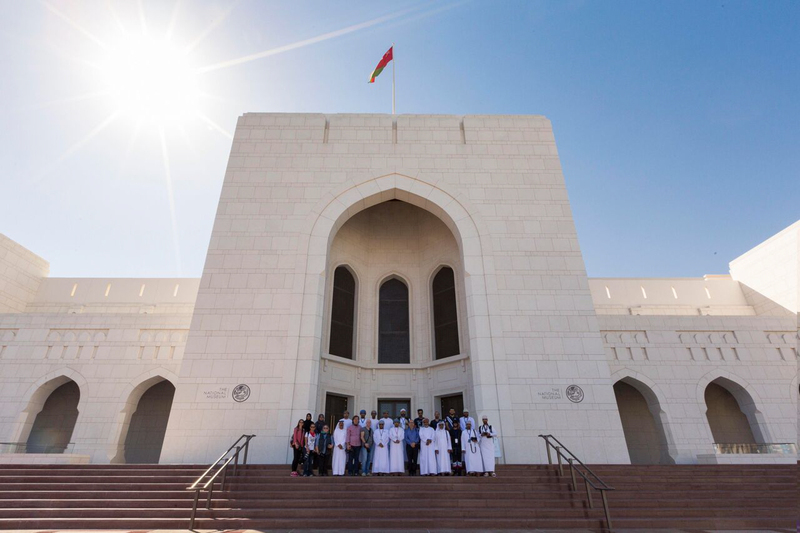 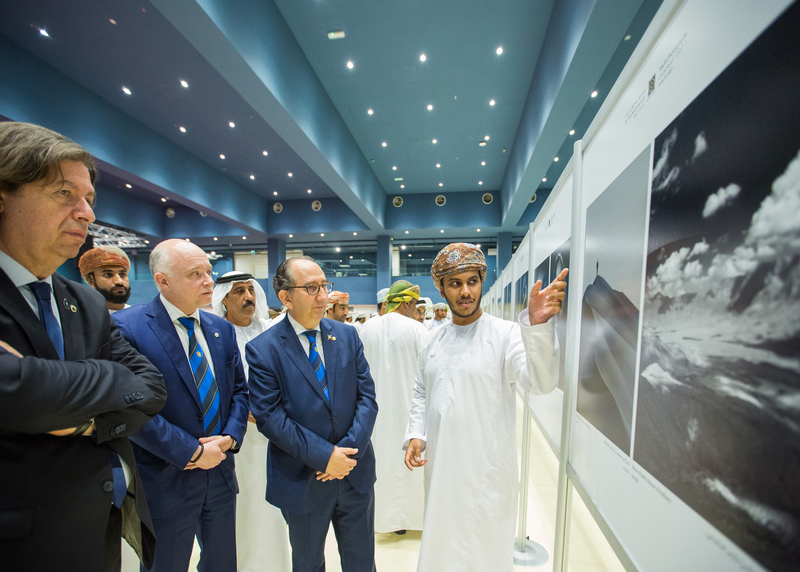 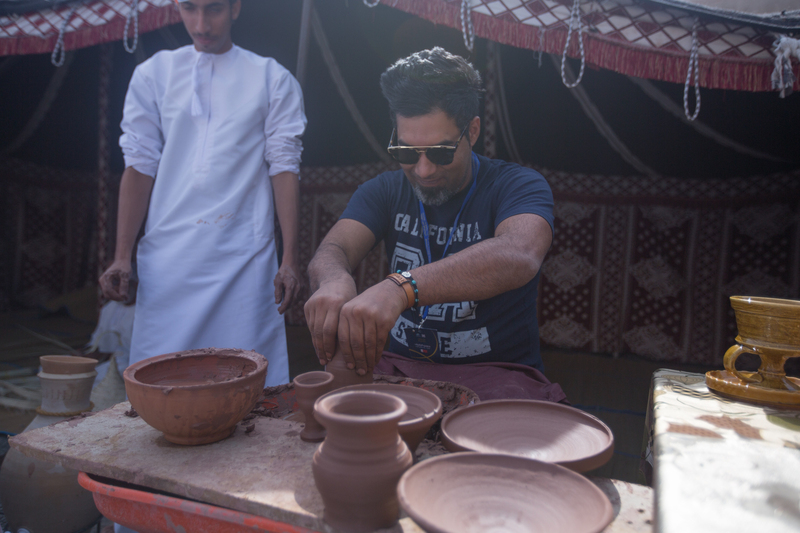 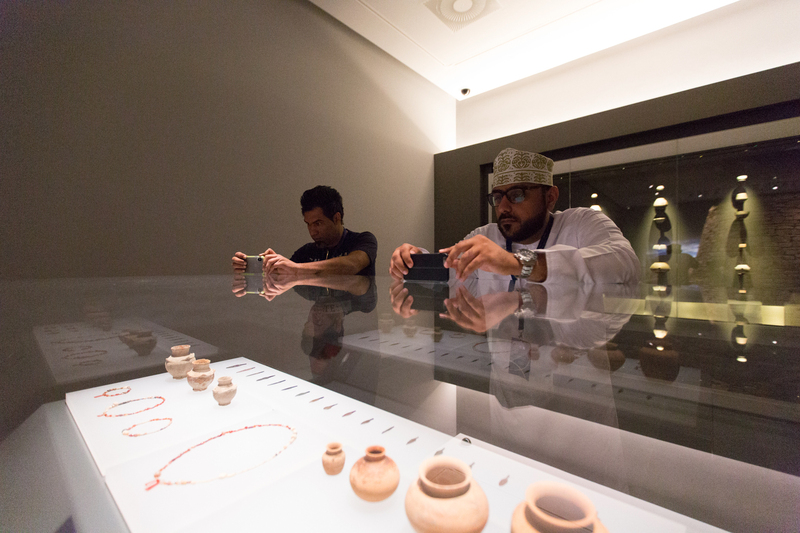 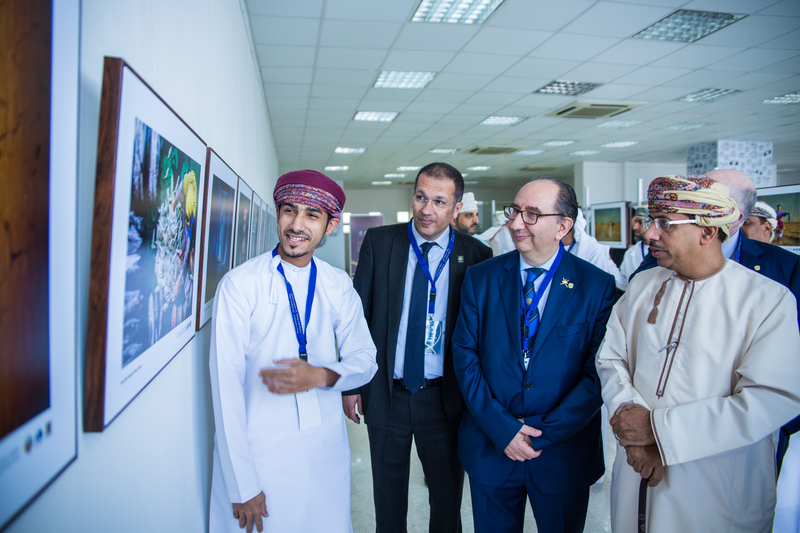 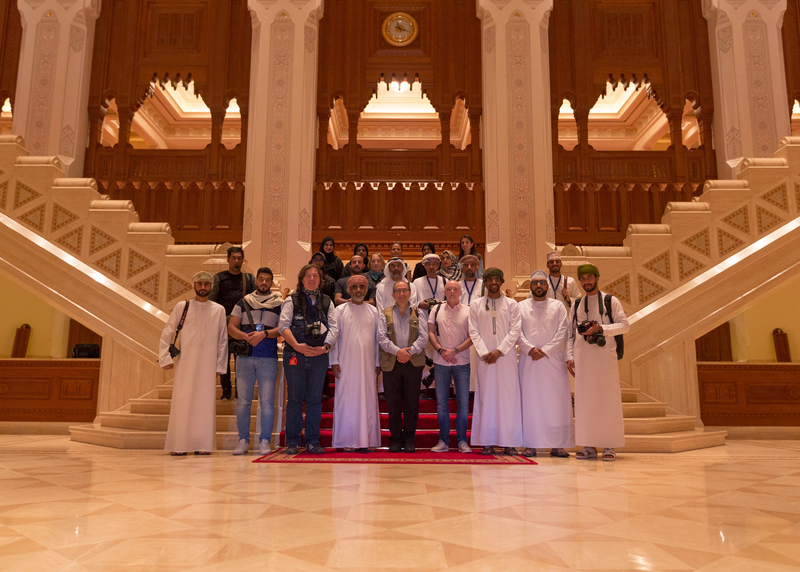 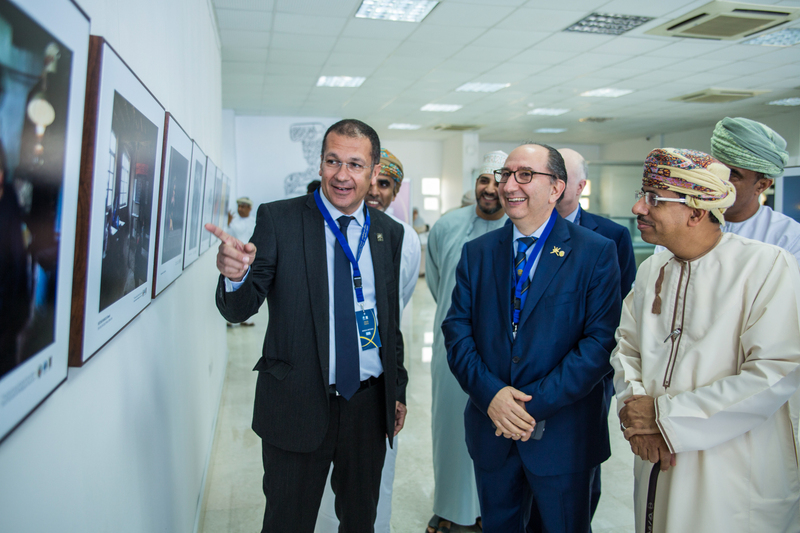 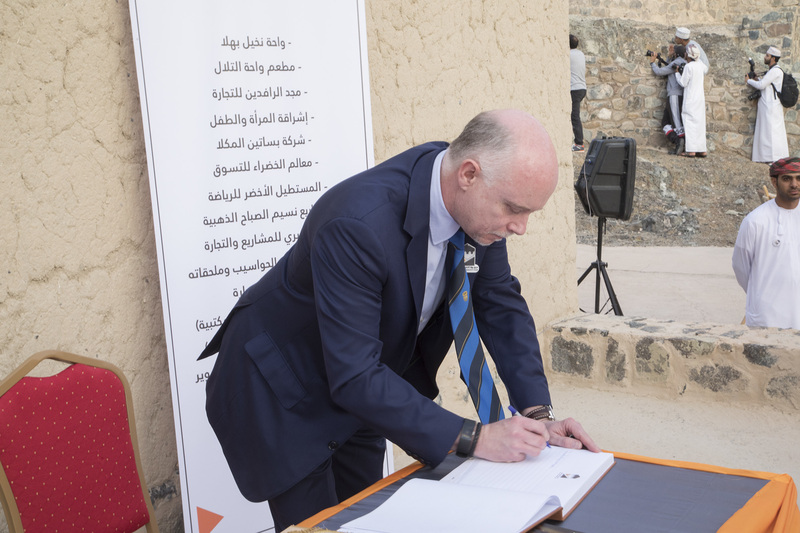 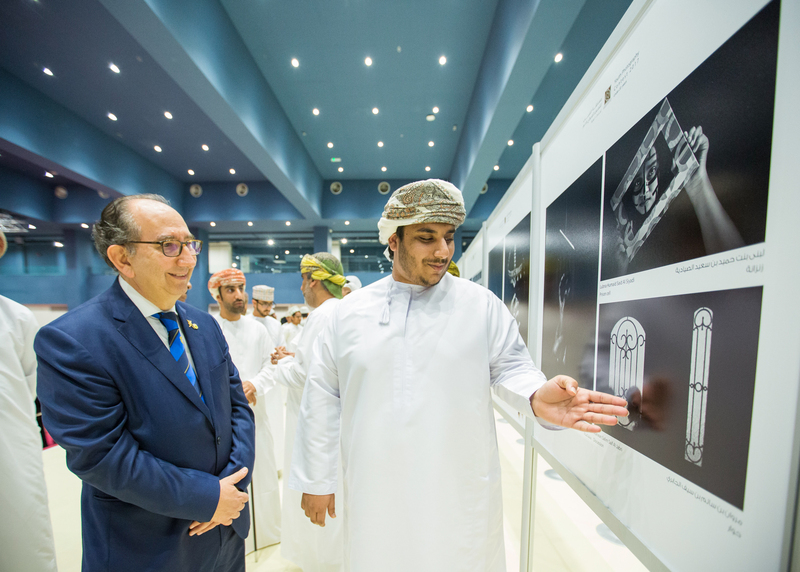 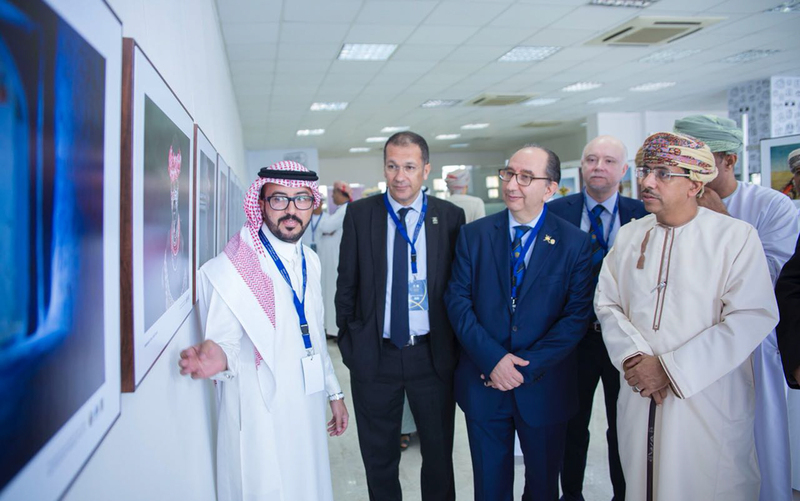 The forum also included a series of photographic trips to Muscat Governorate, Al Dakhilyah Governorate and South Batinah Governorate. 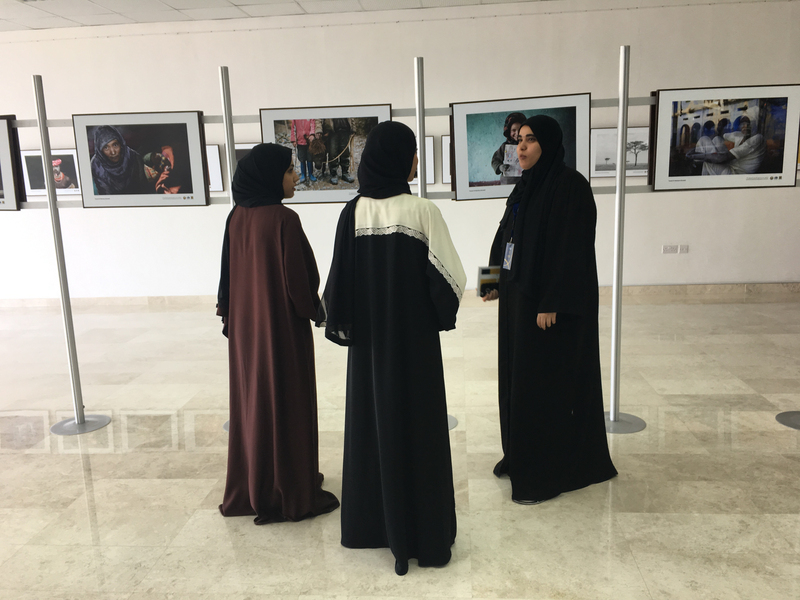 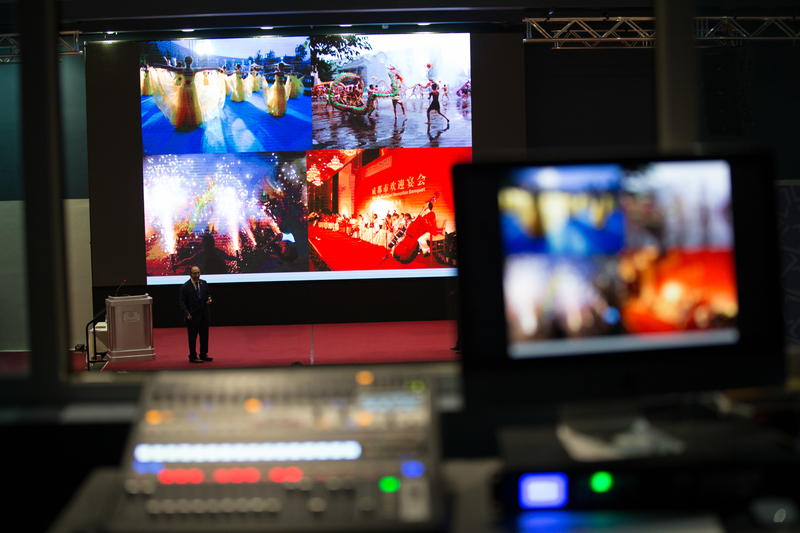 During the period of the forum, four distinct exhibitions opened, such as the exhibition of the participants in the forum, the opening of Bahla Photography Group, SQUARE 2017 International Photography Contest and the Youth Contest. 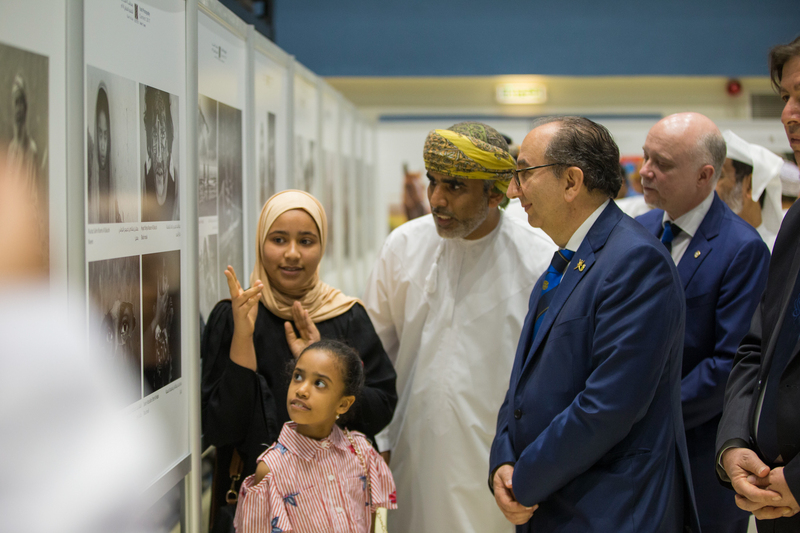 The meeting was also interesting enriched with photographic sessions presented by the Italian photographer Riccardo Busi, president of the International Federation of Photographic Arts (FIAP), Turkish photographer Riha Blair, president of Sali Santa Sarai Turkish club, Emirati photographer Saeed Al Shamsi, president of Dar Ibn Al-Haytham for Visual Arts and administrator of International titles of the Global Photographic Union. 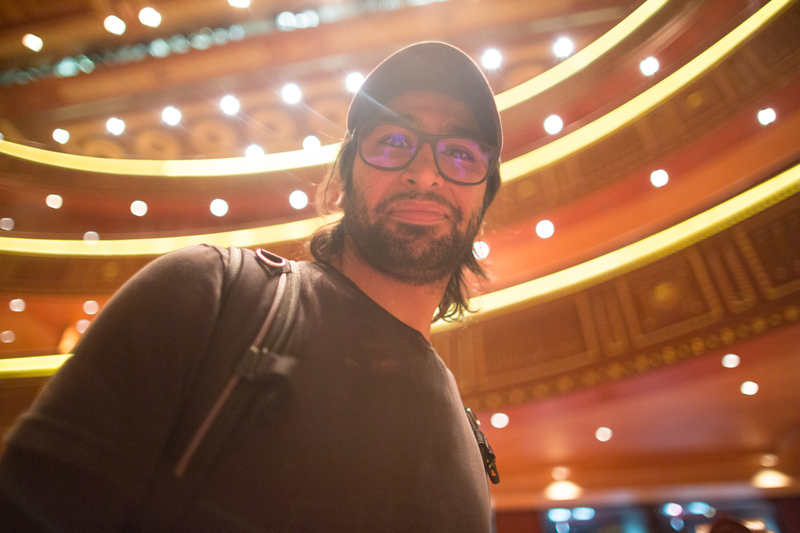 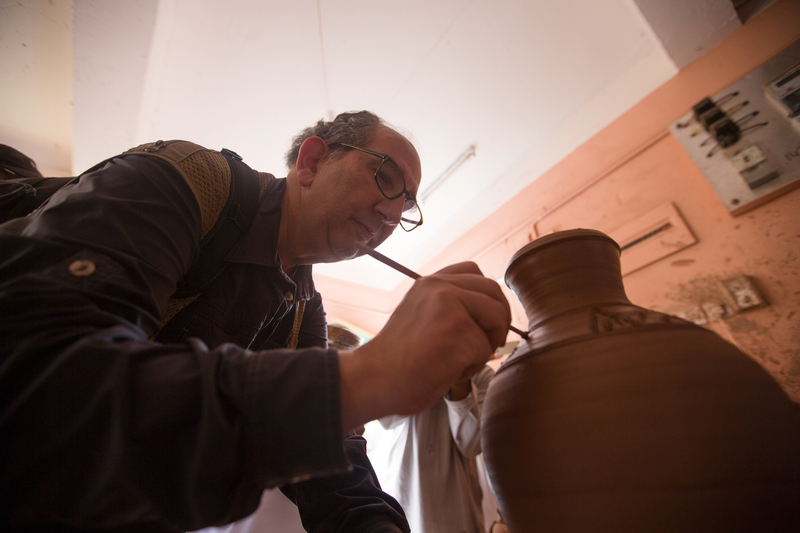 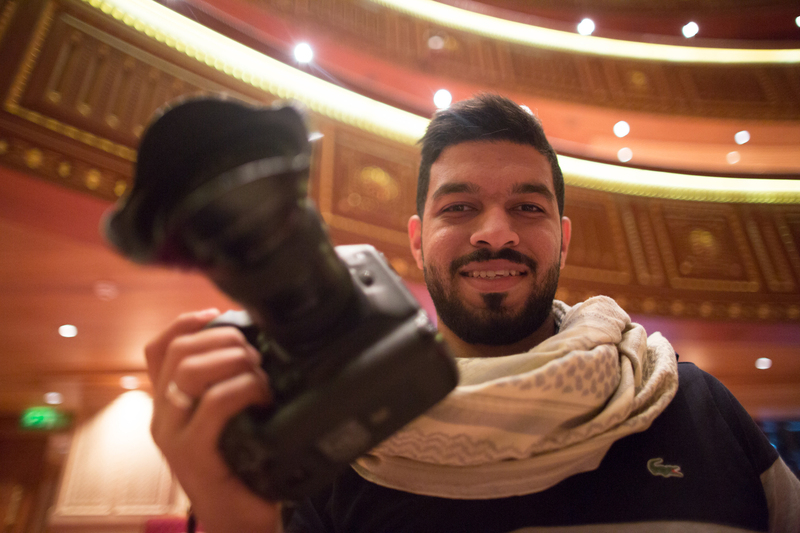 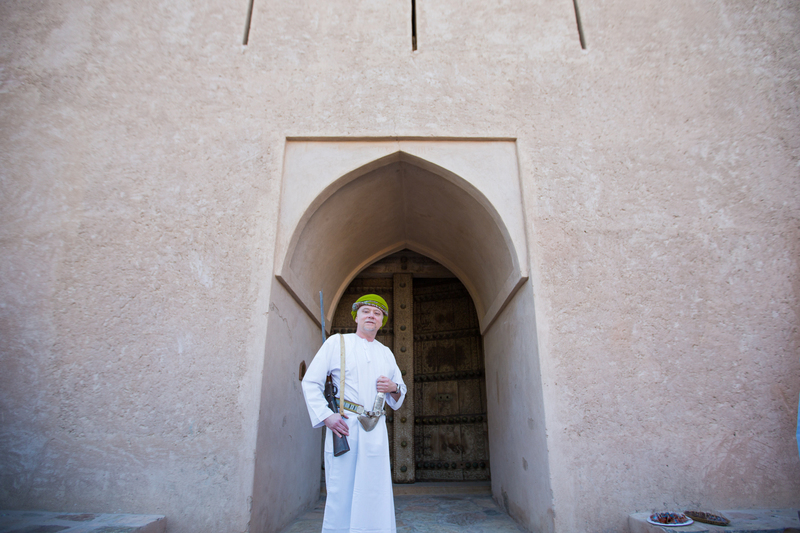 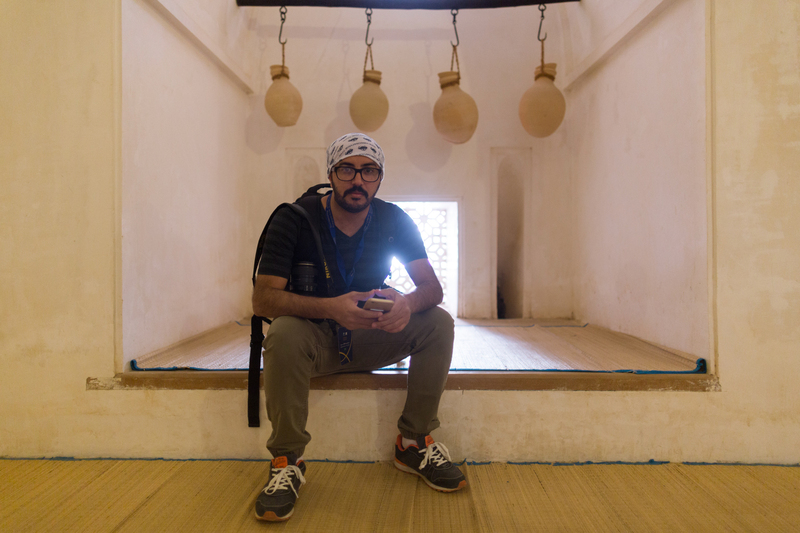 (GPU) and Saudi photographer Mohammed Al-Falih.